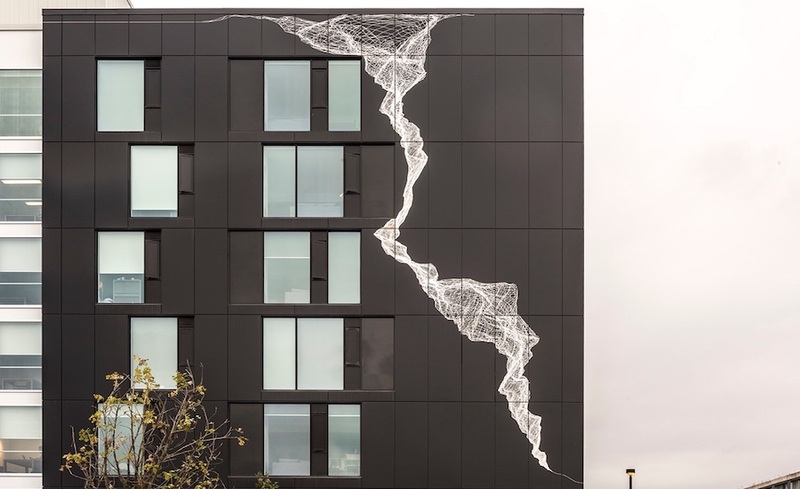 This artwork is a true collaboration between artist and architect. 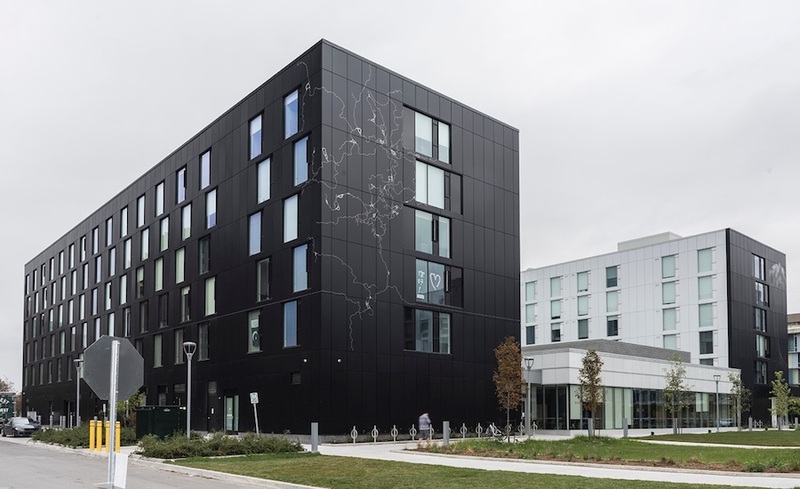 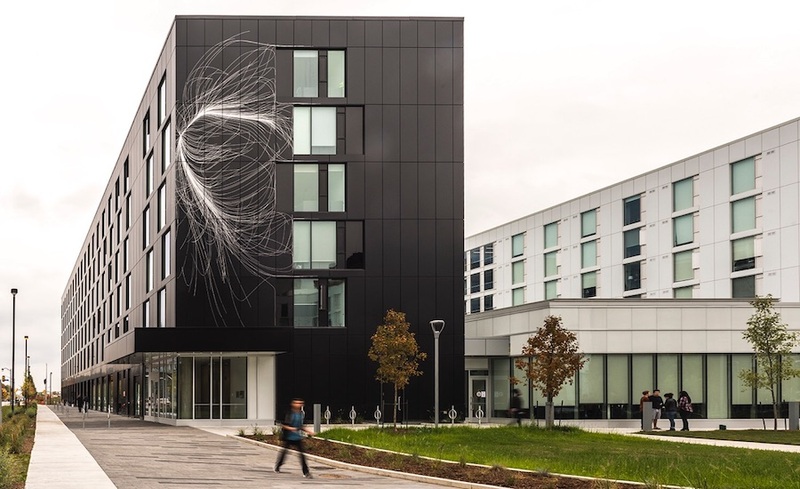 The entirety of the building facade, comprised of black, coated aluminum panels, is the site of the artwork to create a graphic interpretation of "academic ivy". 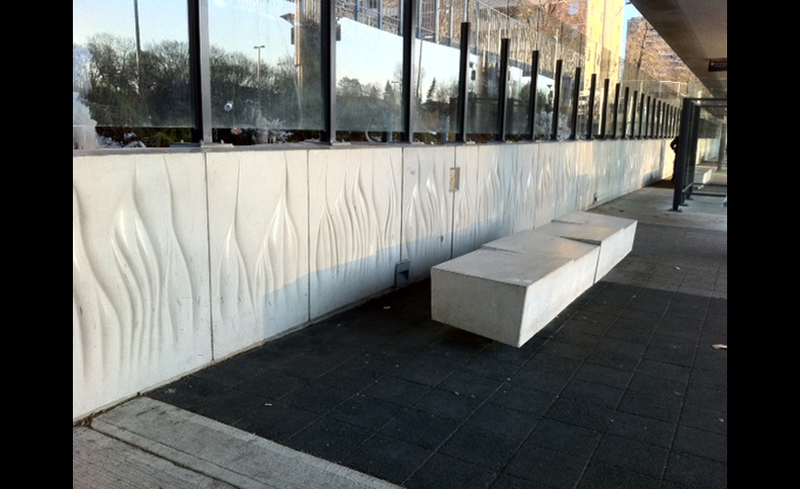 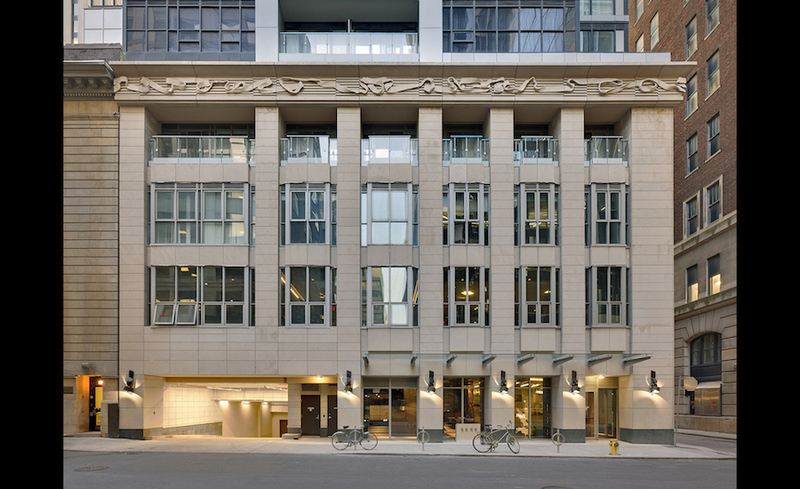 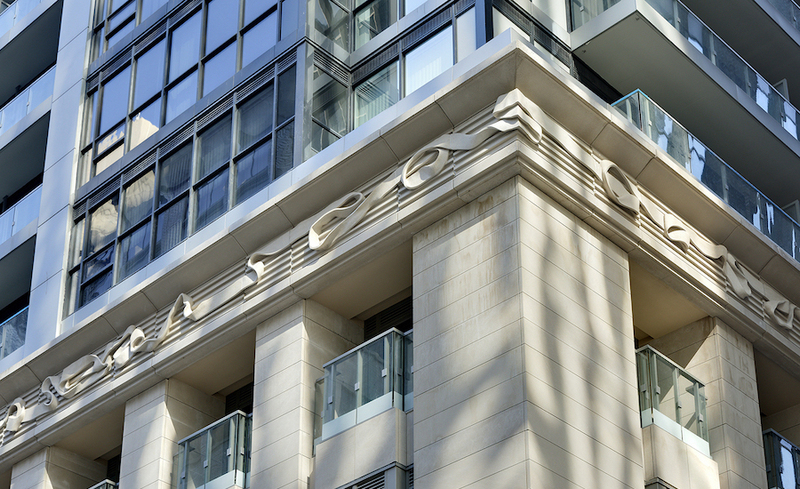 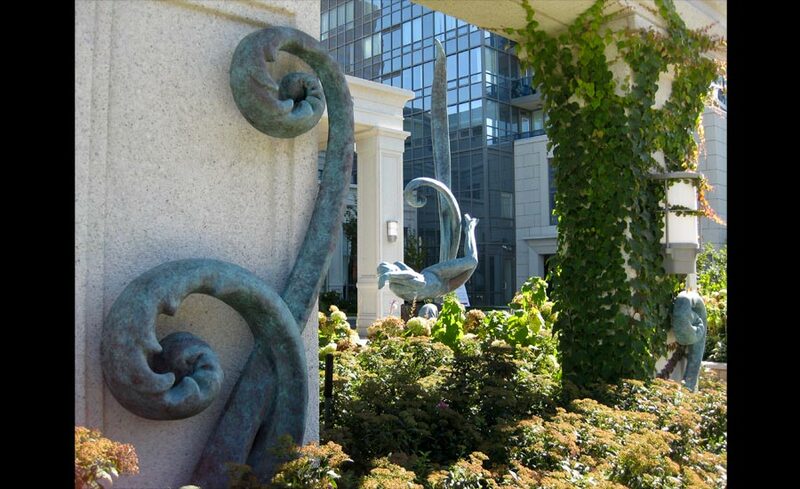 This artwork is a contemporary addition to the local context of highly integrated artworks including the mosaic lined entrance to the Concourse Building and carved frieze of the Toronto Stock Exchange (now Design Exchange). 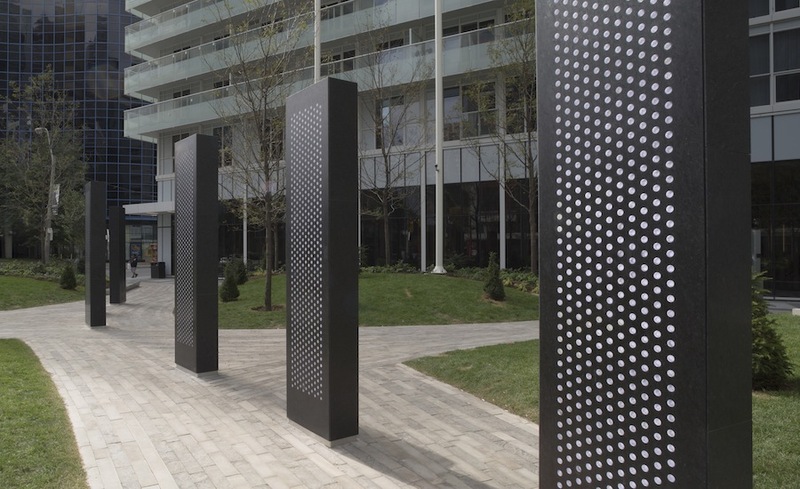 Activating the central public spine of the development and connecting the waterfront promenade with Queen's Quay, this multi-component artwork metaphorically connects Lake to City, with references to weather systems and paperwork. 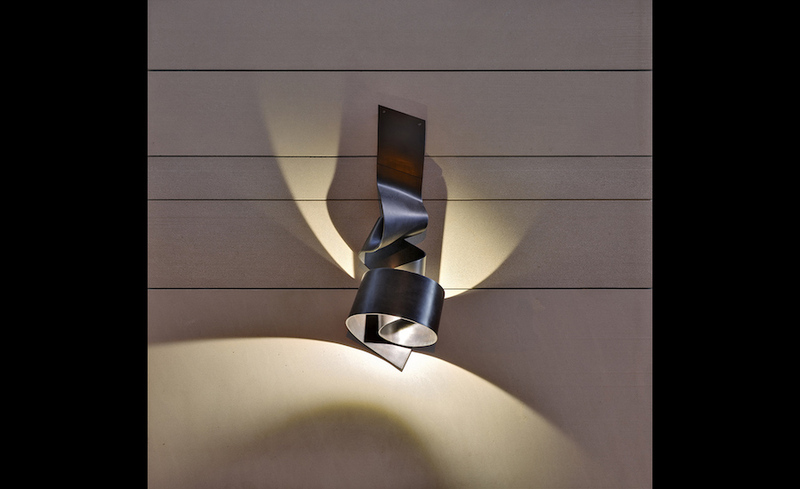 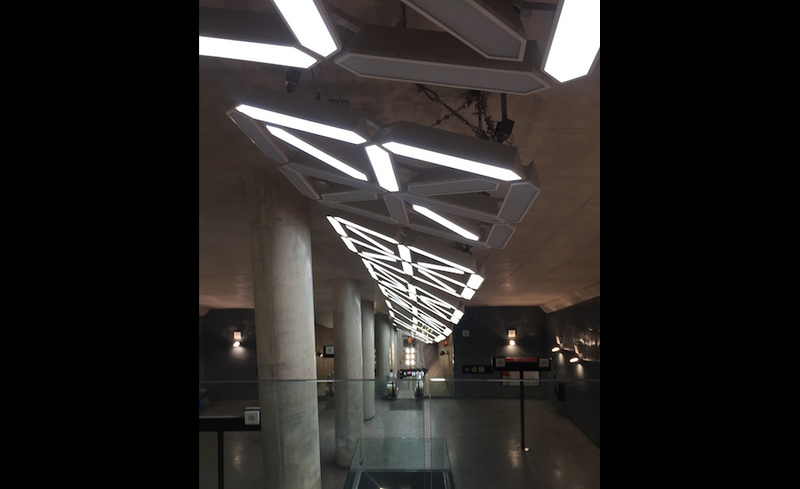 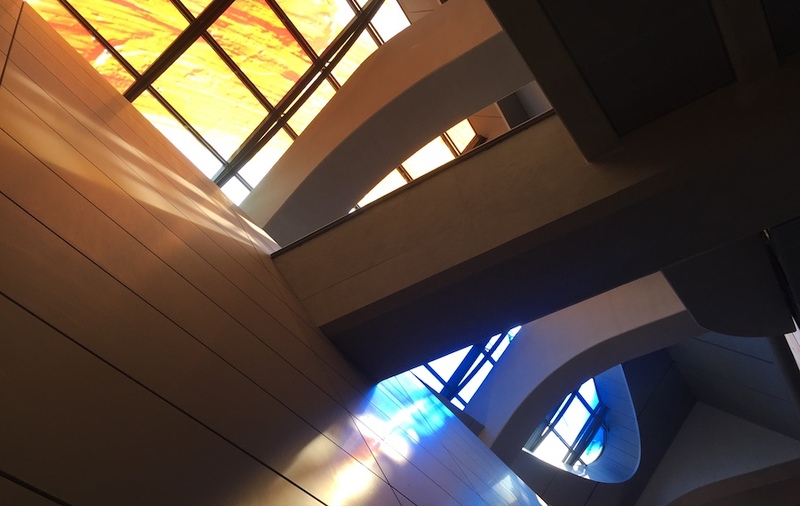 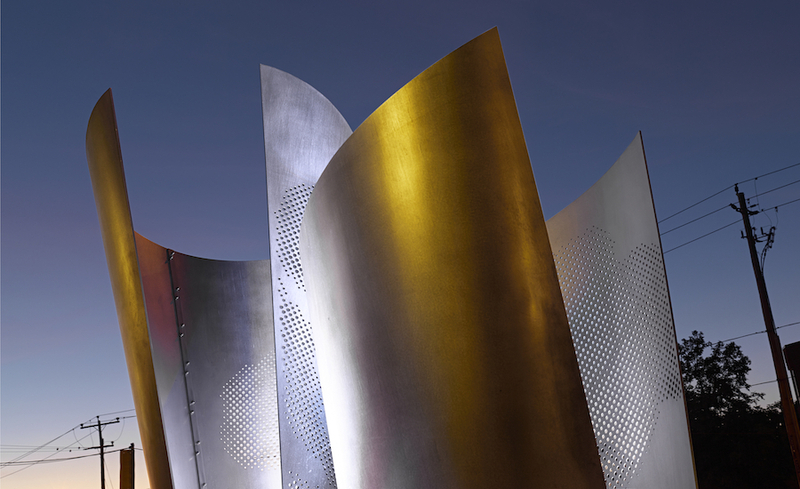 Working directly with the architectural design teams, artists created works of art varying from formal expression to interactive and responsive lighting schemes. 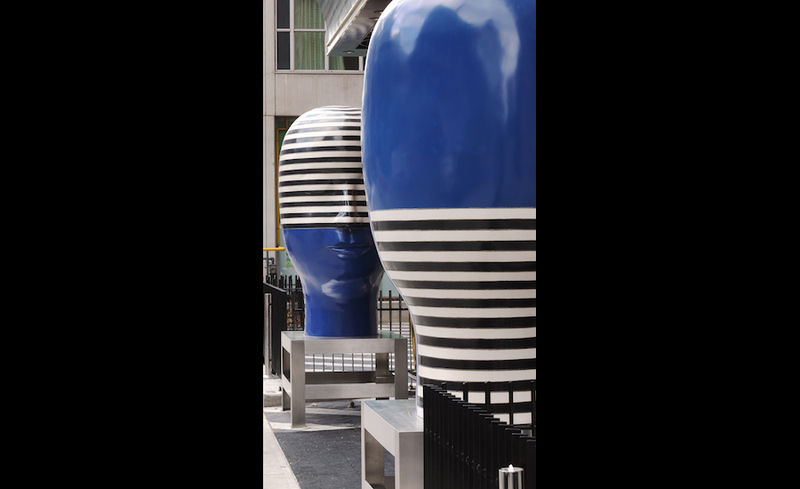 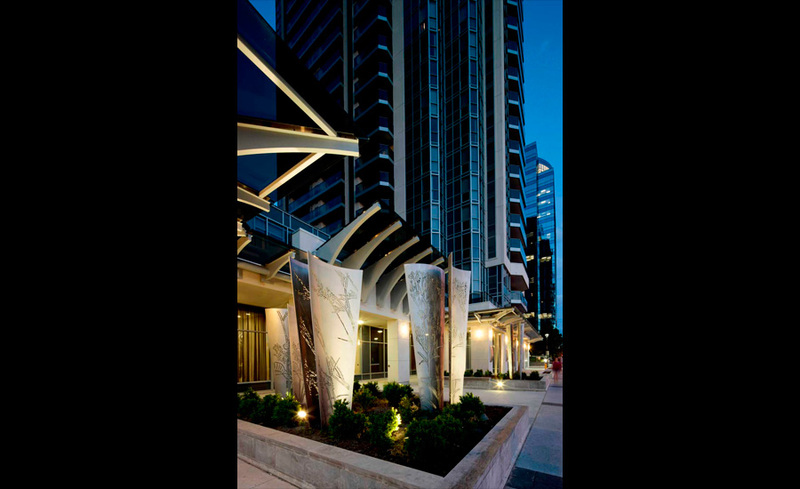 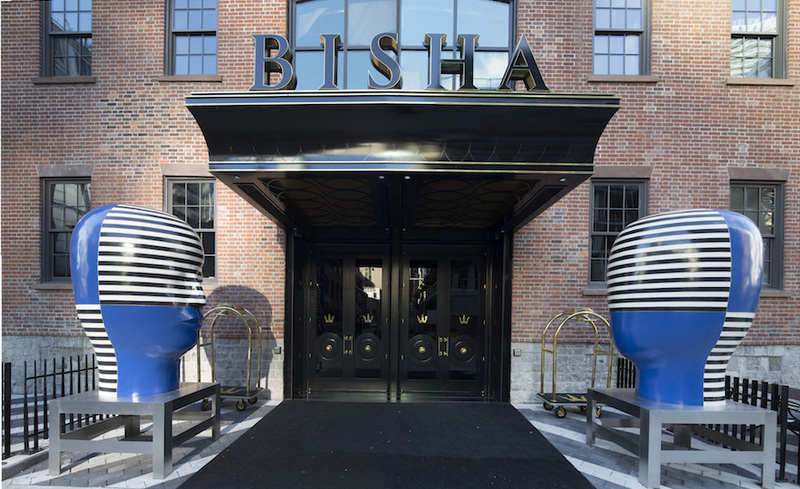 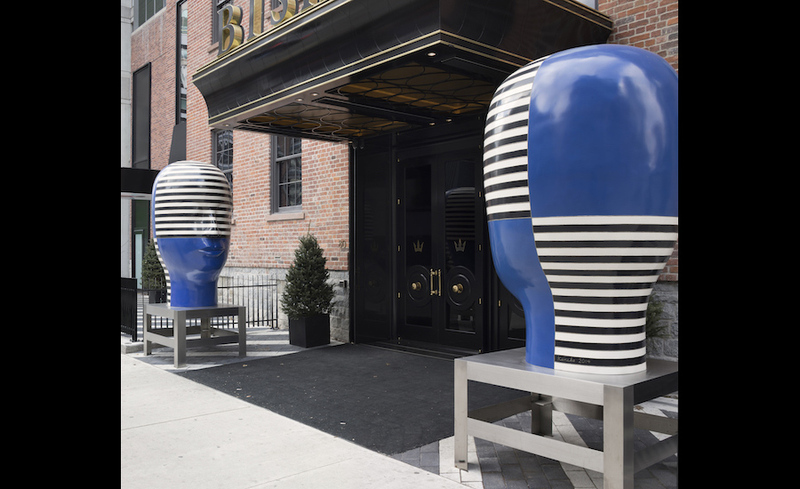 Two large, polychrome, bronze heads welcome visitors to the Bisha Hotel while providing interest to the adjacent streetscape. 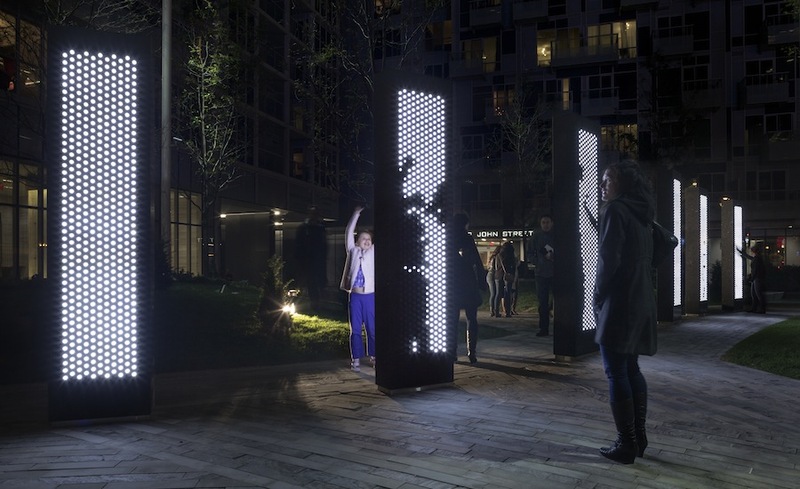 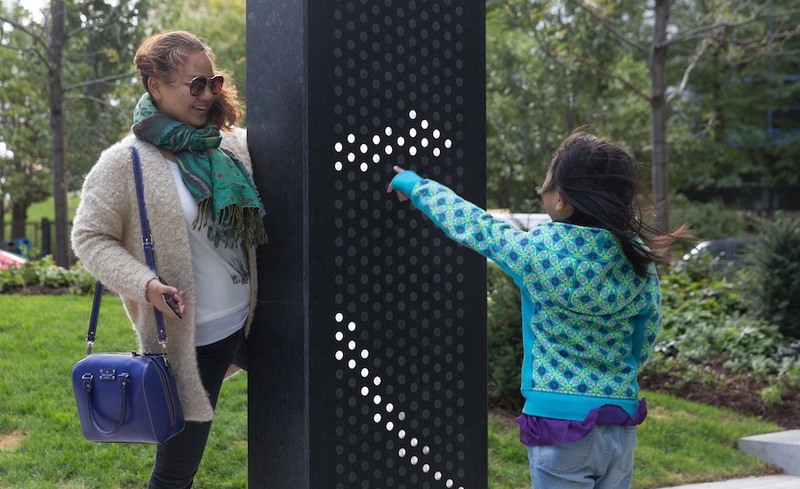 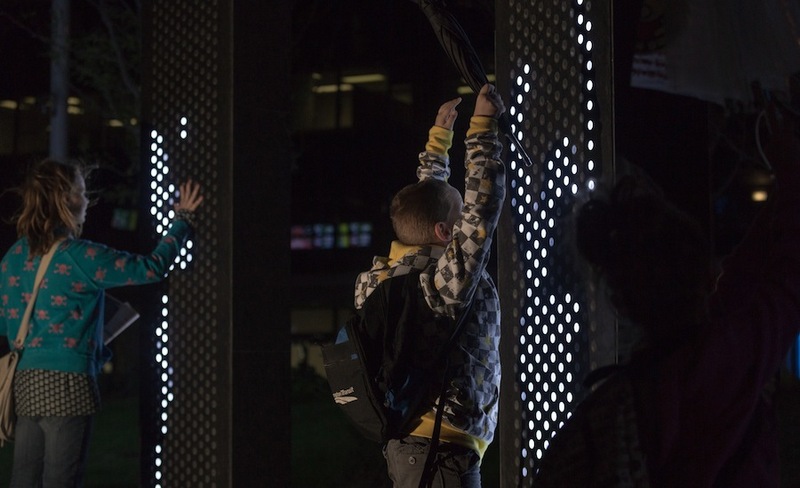 This multi-component, interactive artwork is integrated into the landscape design of the public park at the foot of John Street. 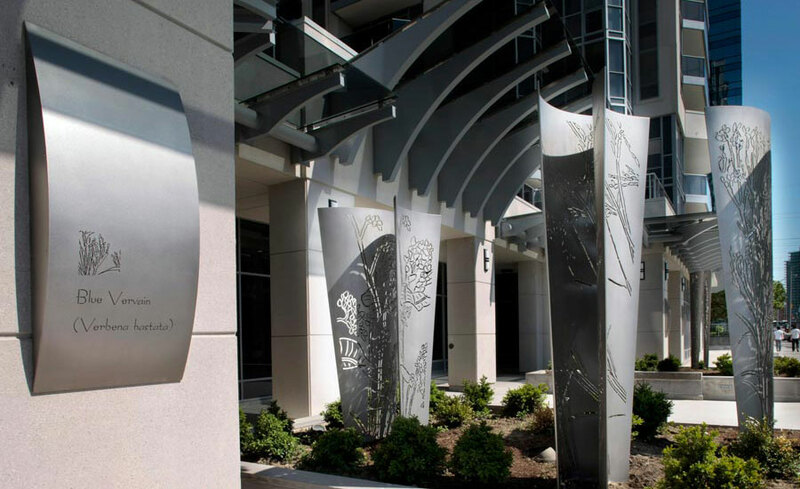 The artwork components, situated within the planter elements, frame the main entrance and provide an elegant and sophisticated address. 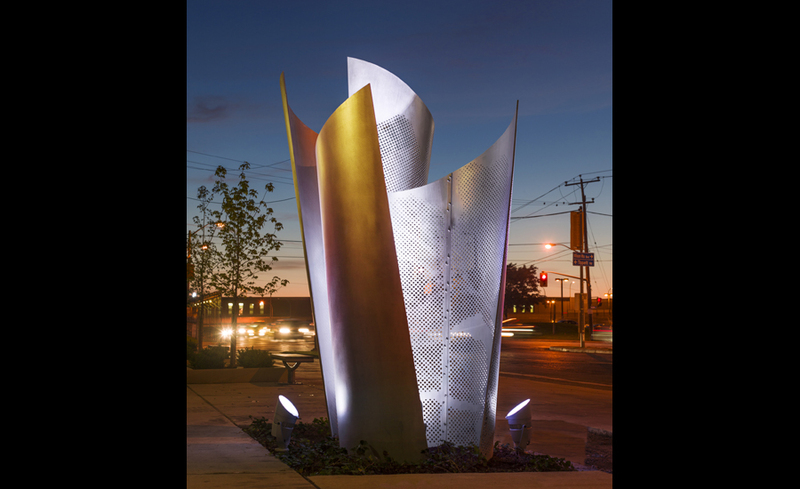 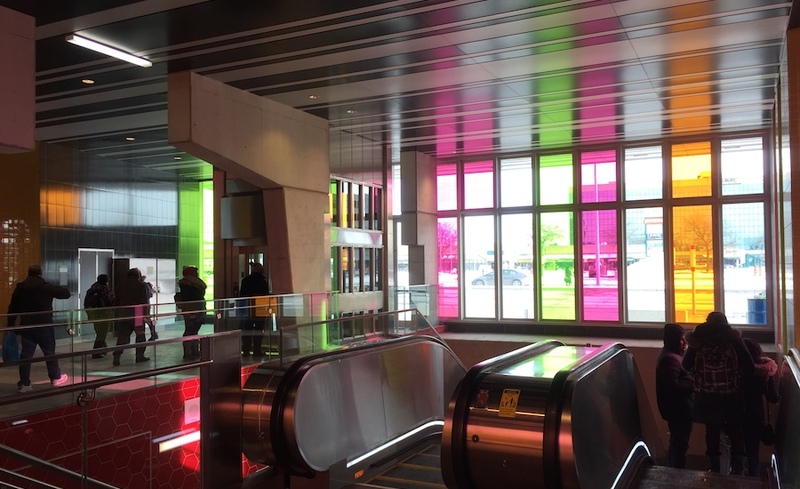 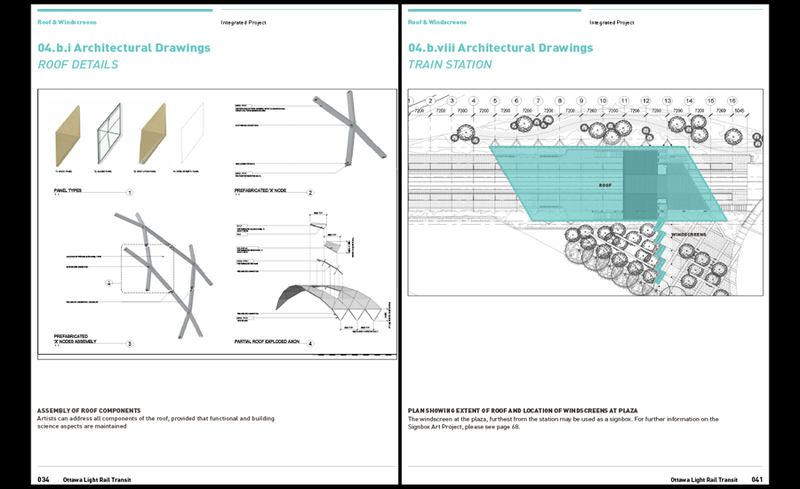 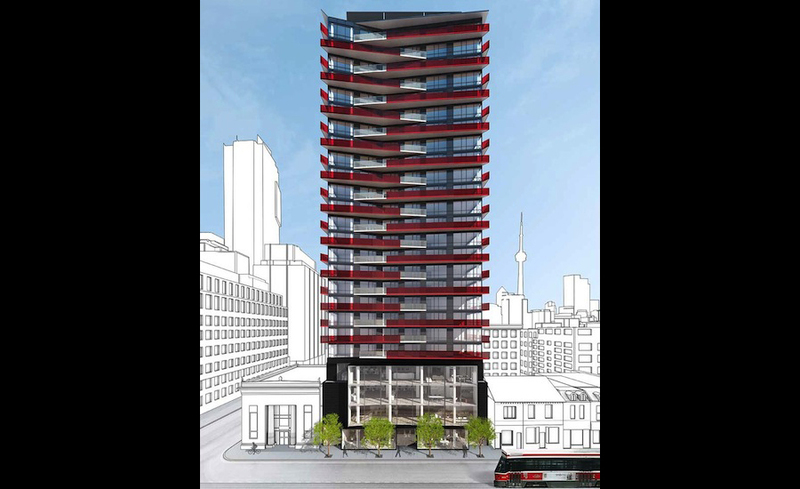 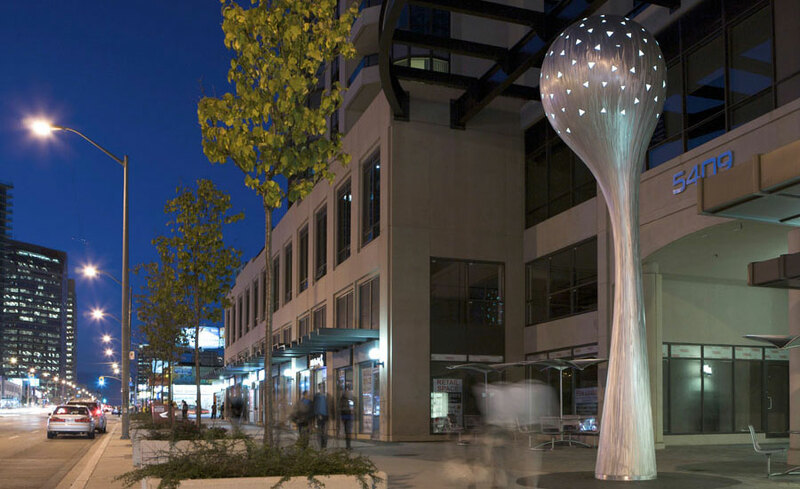 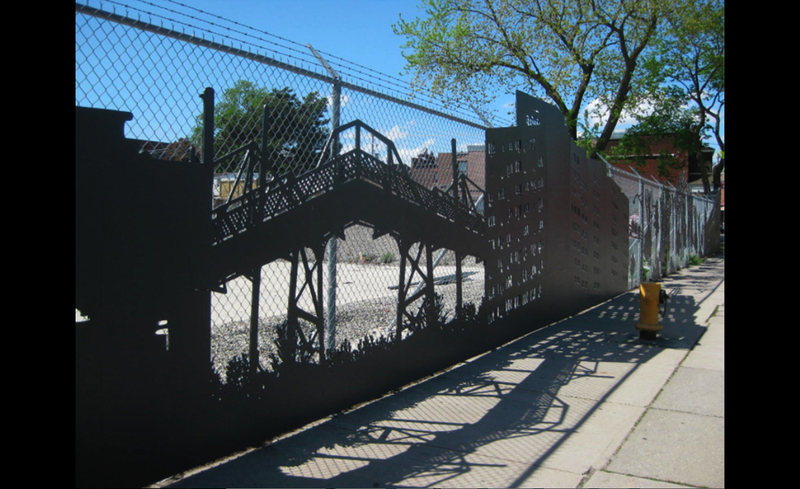 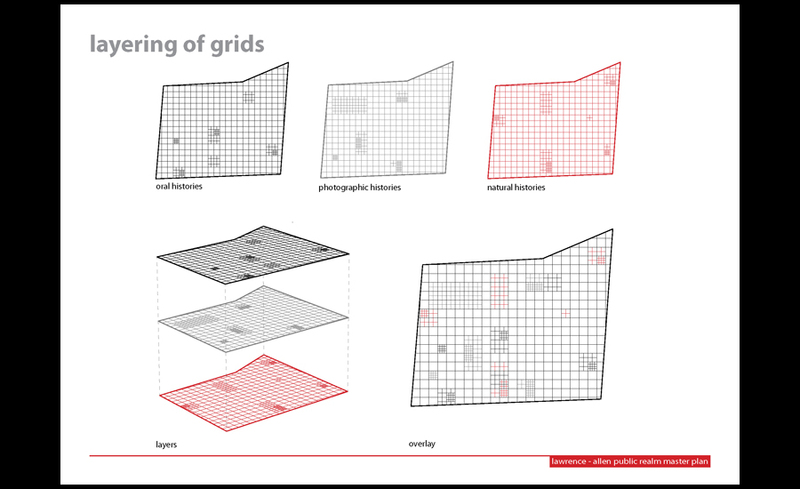 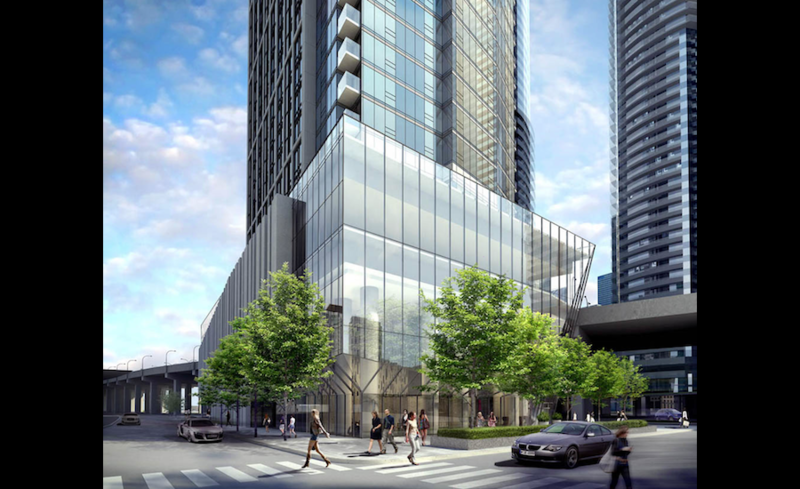 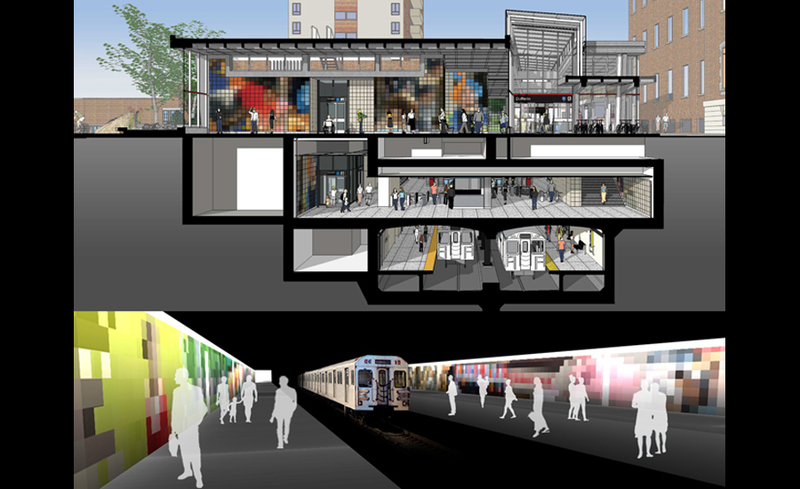 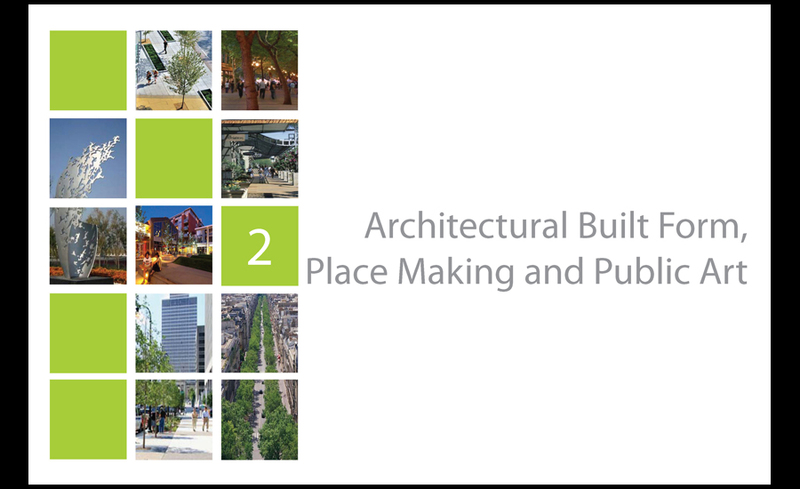 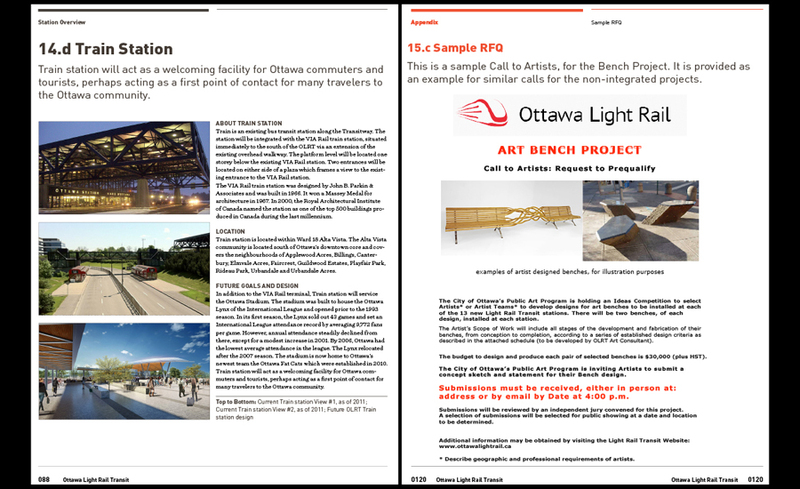 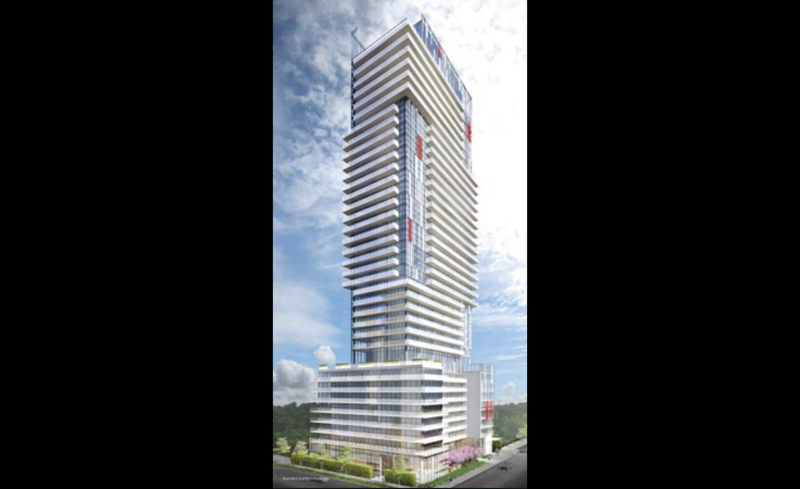 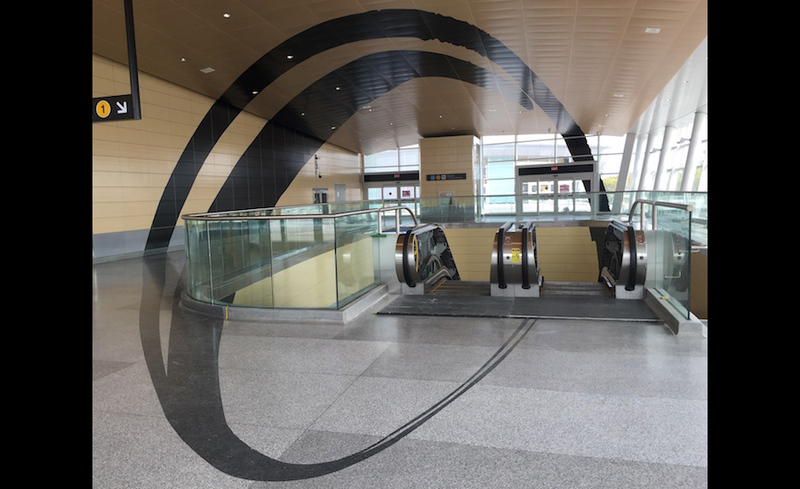 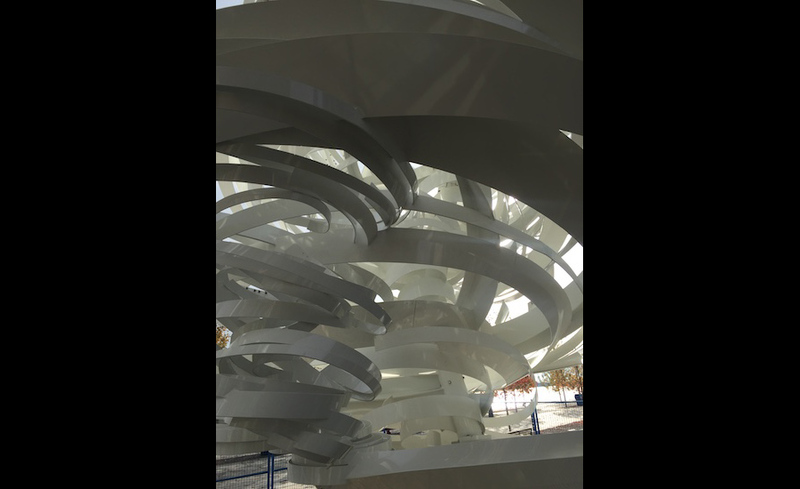 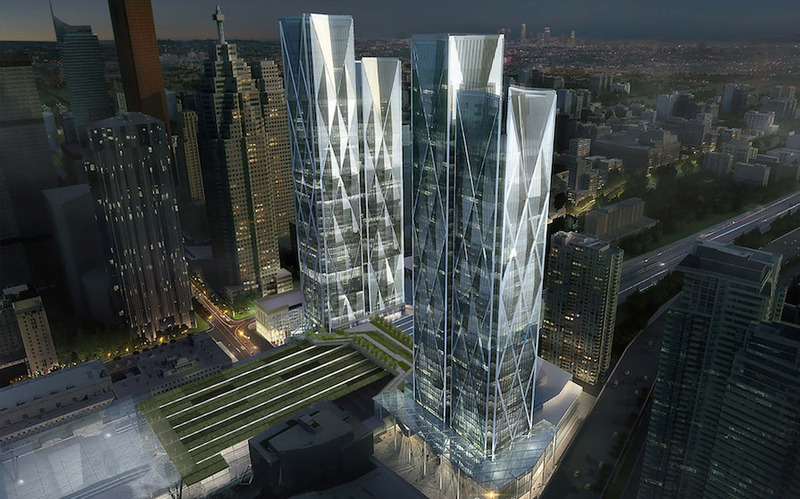 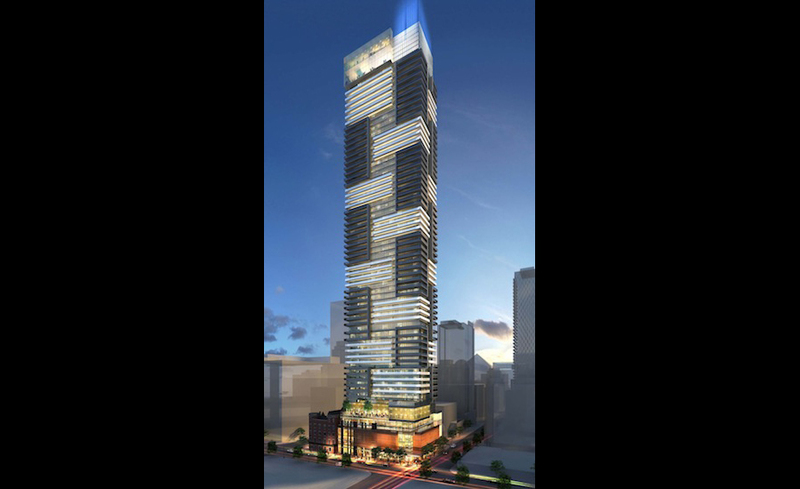 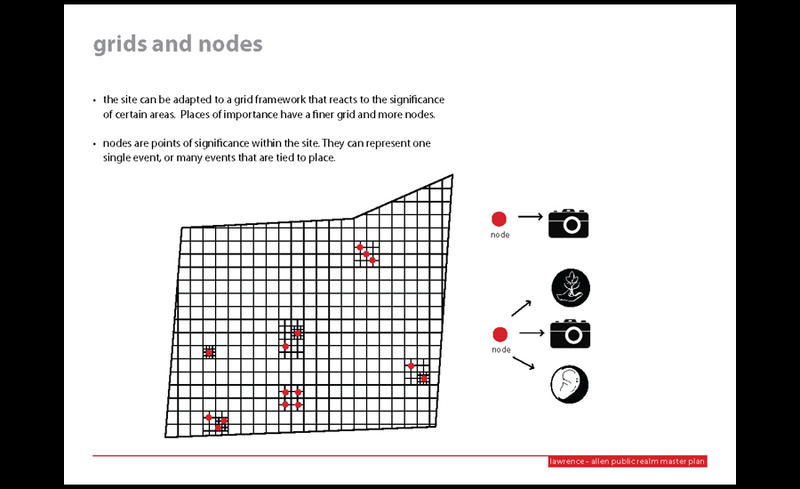 This multi-component artwork maximizes public accessibility and visibility of the artwork through consideration of site conditions, built form opportunities and context. 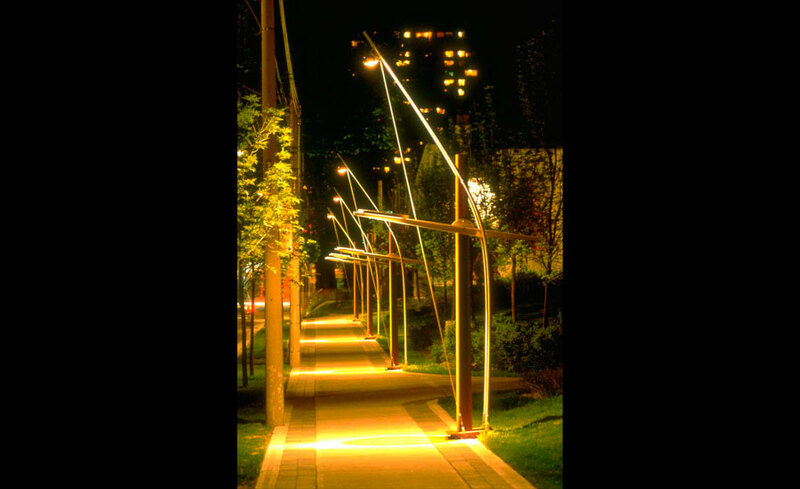 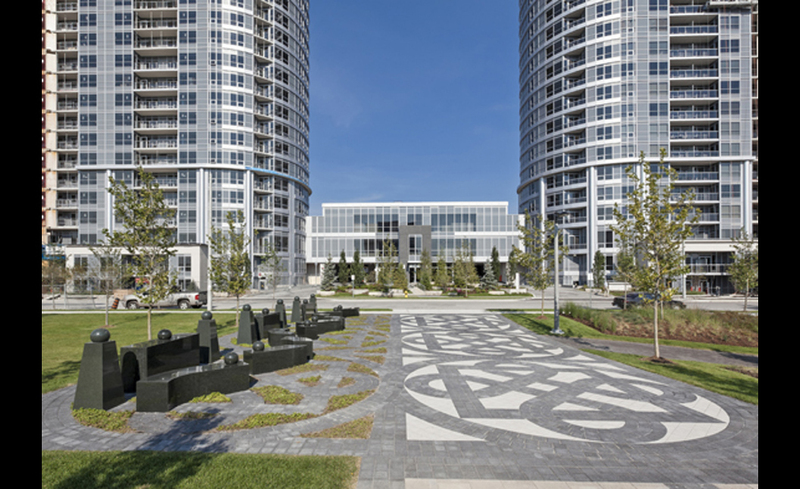 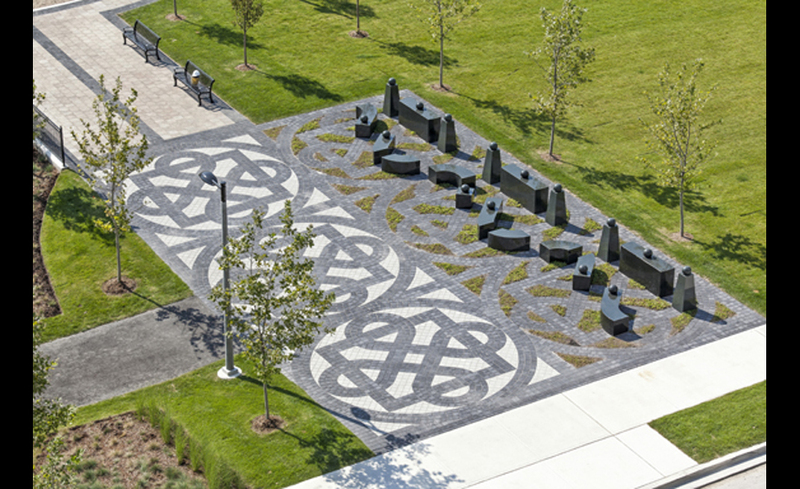 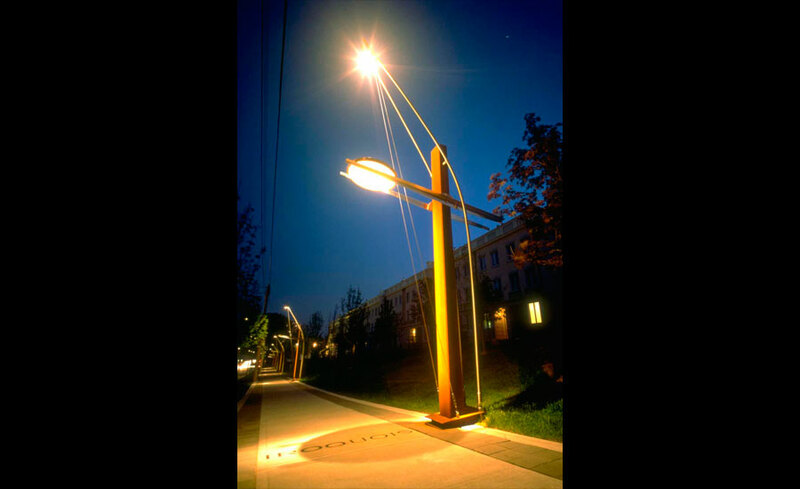 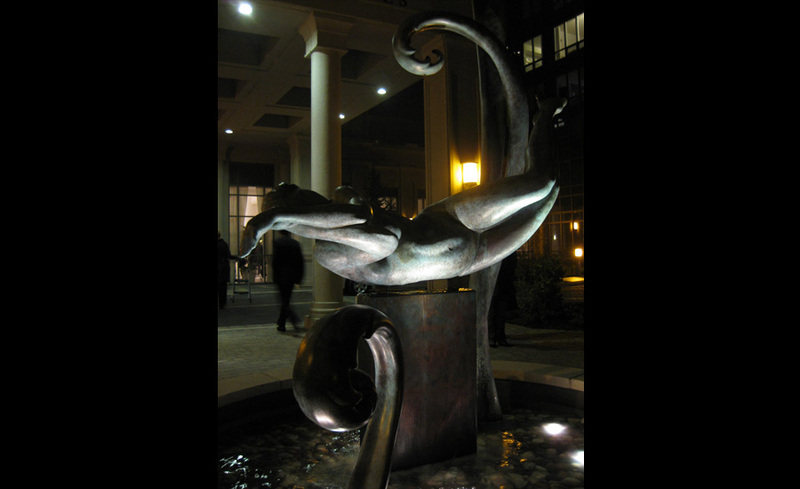 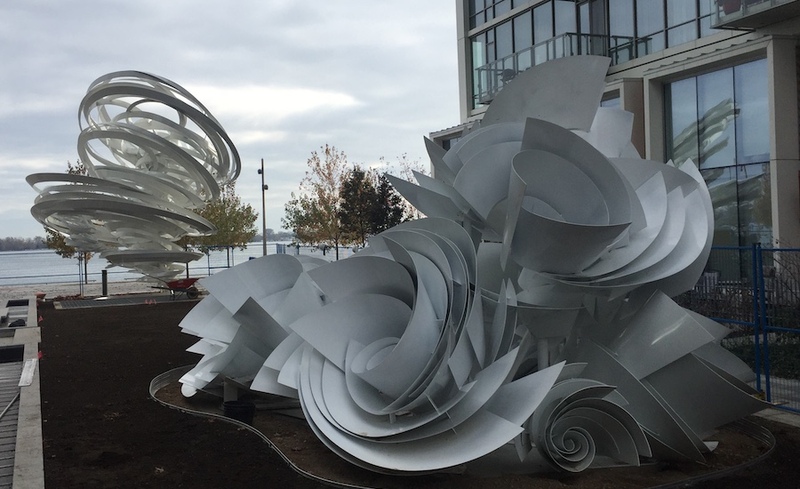 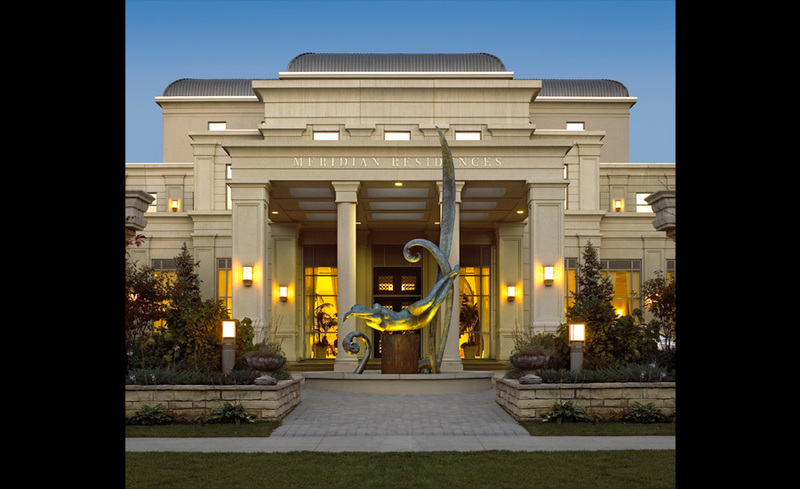 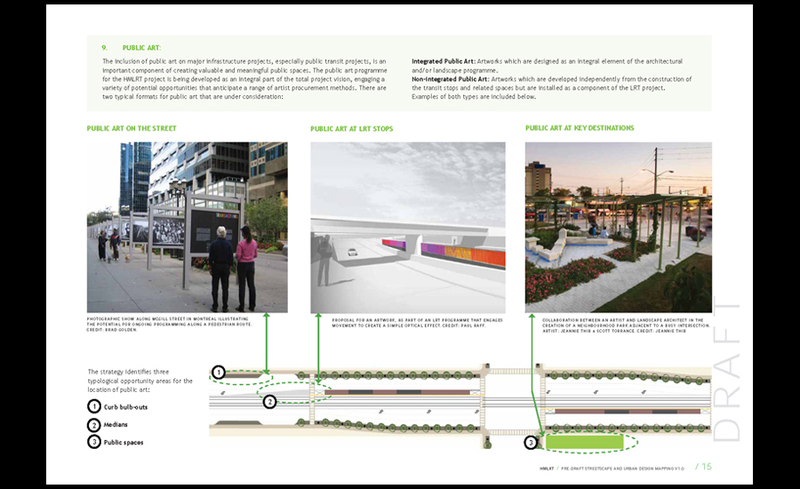 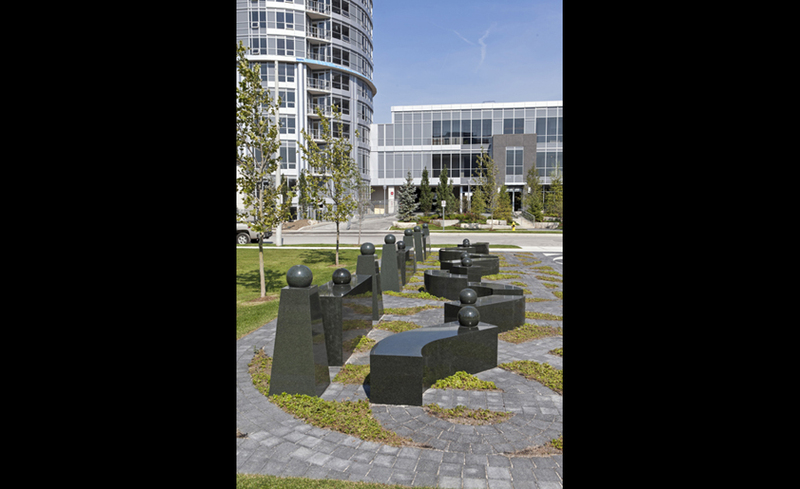 To maximize the value of a limited art budget, the artist worked with the project landscape architect to create an artwork that was integrated with the overall landscape design. 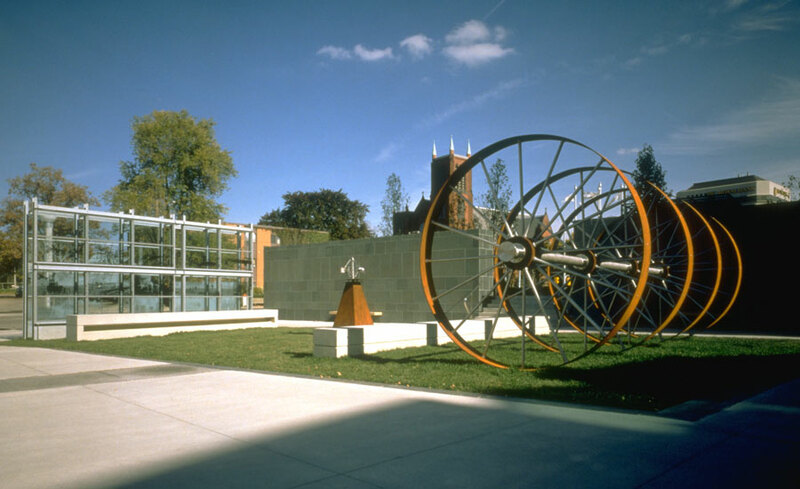 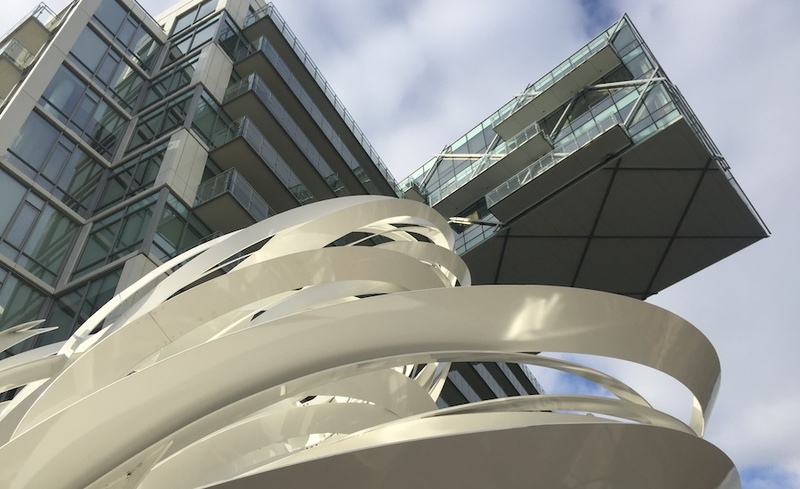 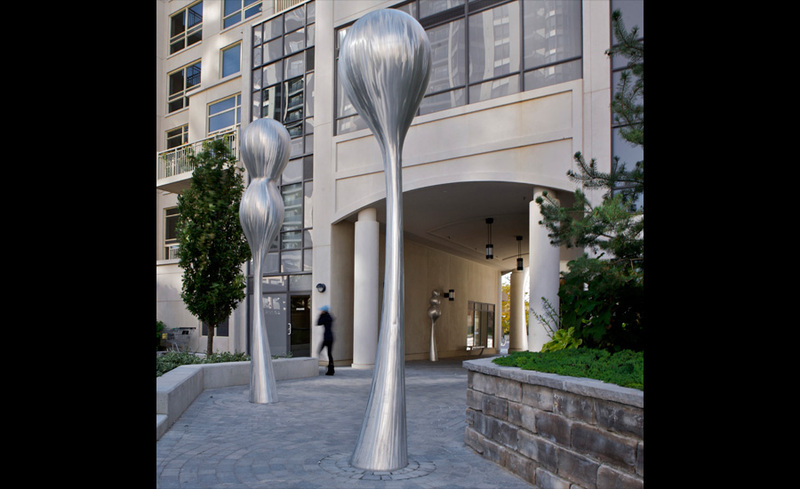 This multi-component artwork animates the streetscape along Wilson Avenue and defines the primary entrance to the main public courtyard of the building as well as visually reinforcing the corner of the property. 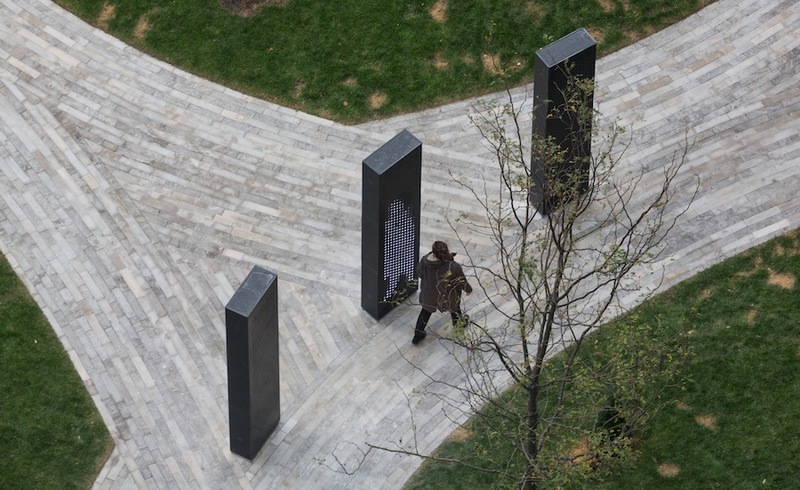 The artwork participates in the collective memory of the community through the provision of time markers that are both retrospective and prescient. 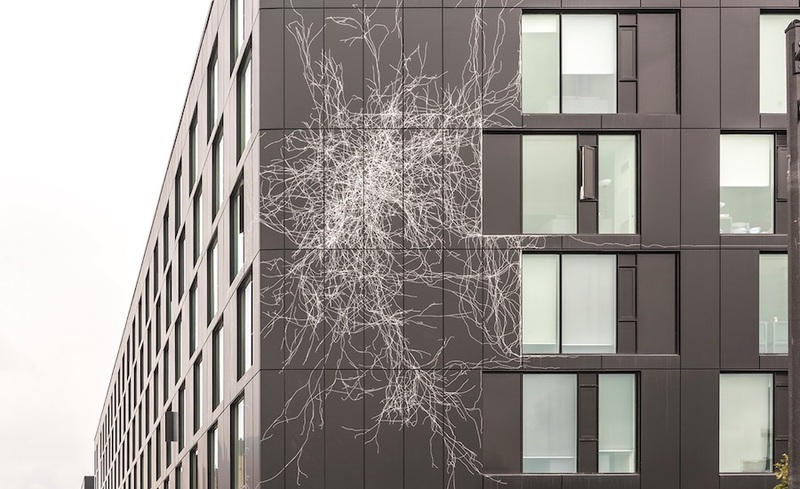 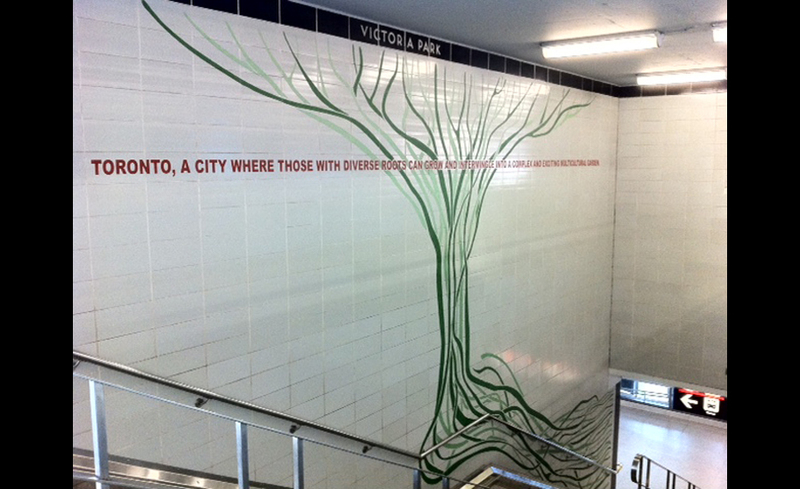 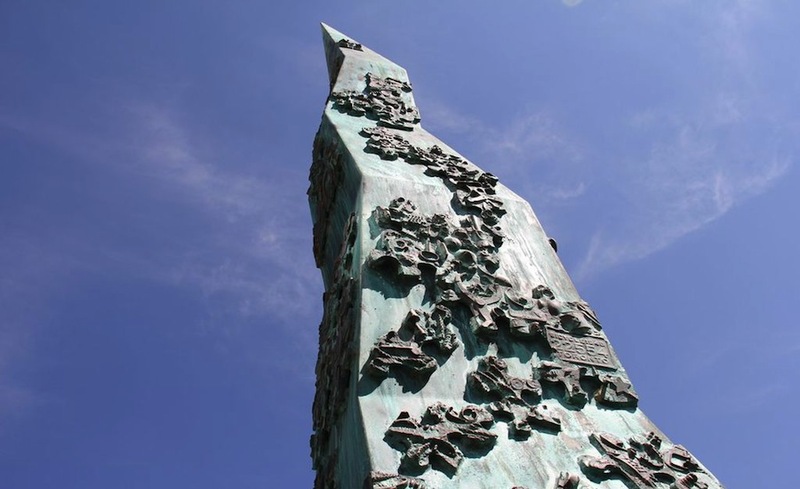 The artwork speaks to the varied geographic and ethnic backgrounds of the neighbourhood through iterations of the theme, expressed in images of tree roots and translations of the words that form this highly poetic artwork. 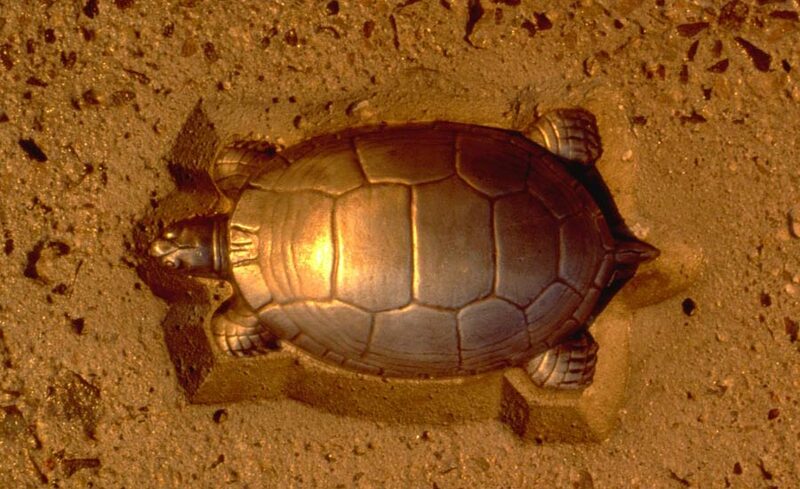 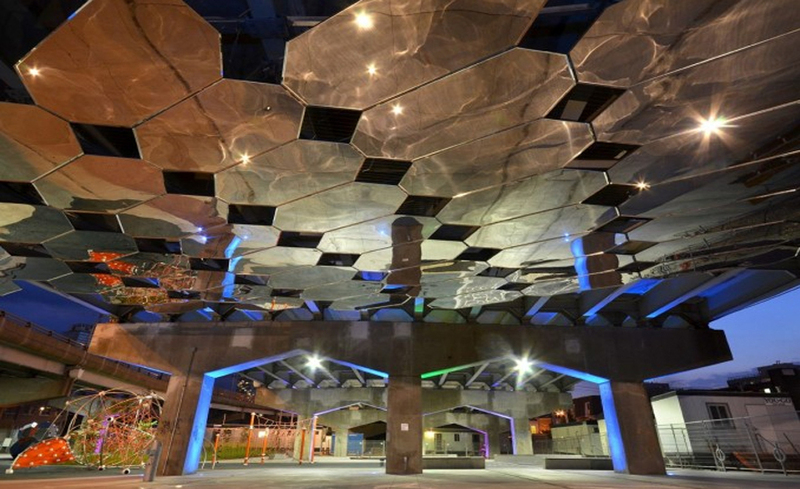 The artwork is a series of mirror-polished plates that form a highly reflective, overhead plane, capturing images of activity while projecting and channeling available light into the park. 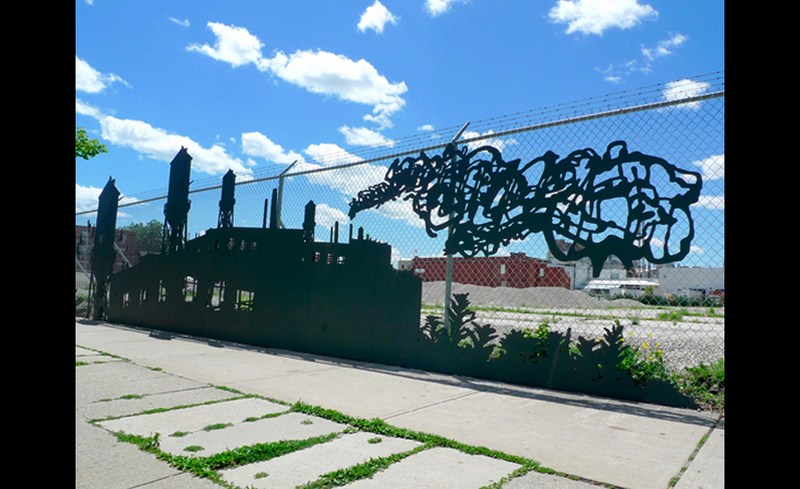 The artwork has transformed an abandoned lot awaiting eventual development into a site specific artwork that has enhanced and been embraced by the community. 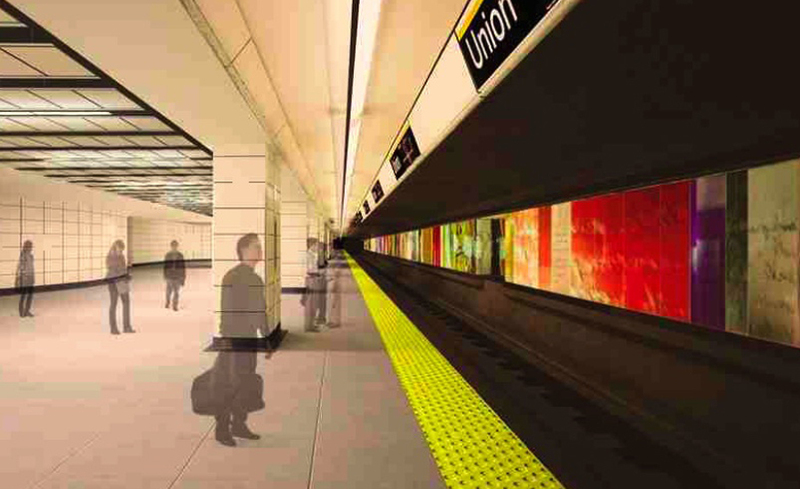 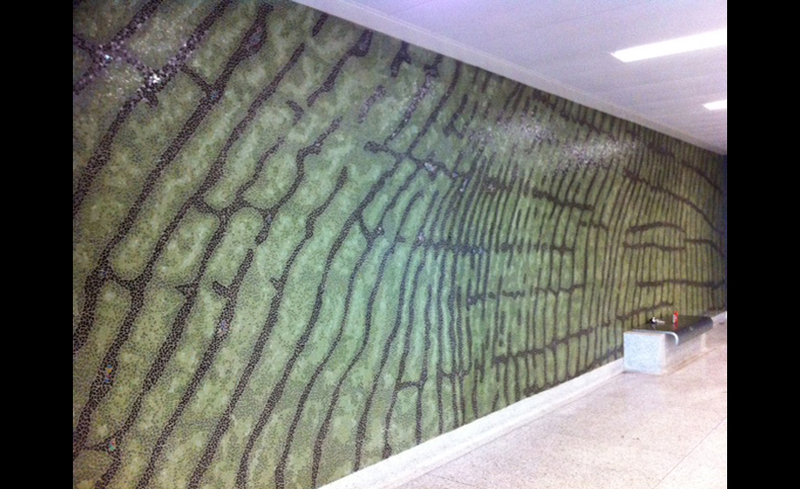 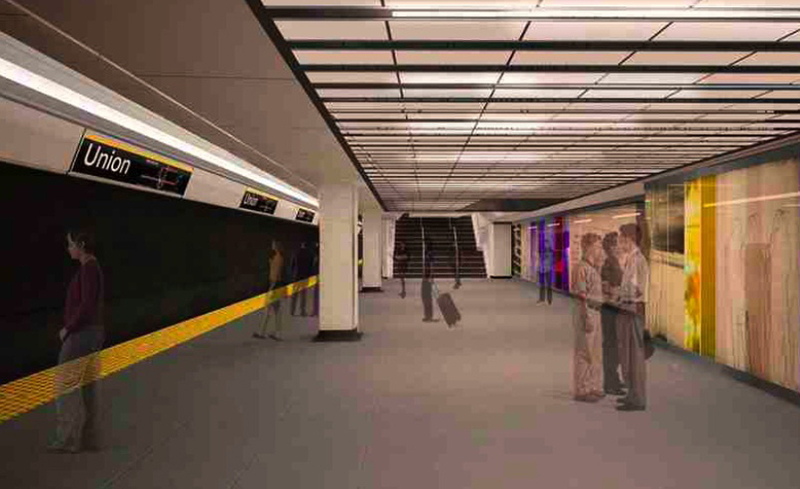 This remarkable artwork runs from floor to ceiling along the entire, 500 foot length of the subway station platform, engaging passengers with a rich, immersive artwork experience. 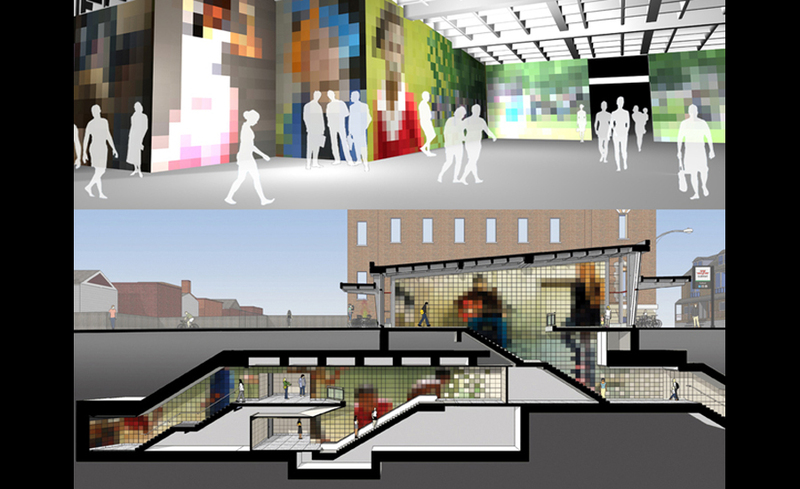 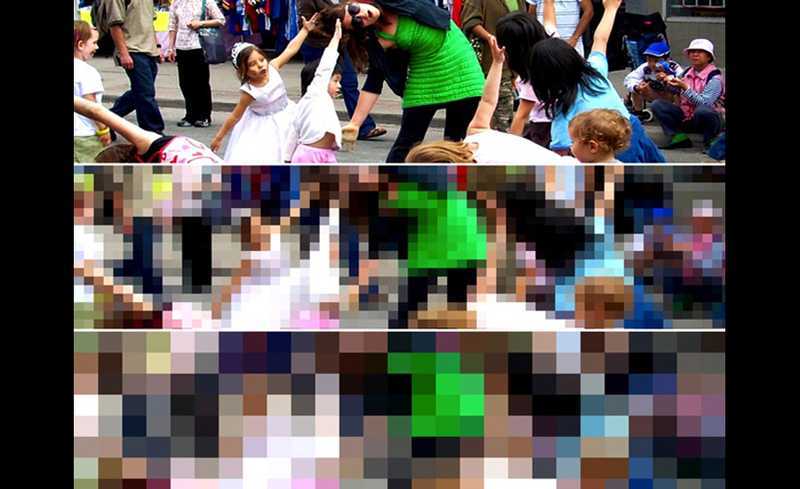 This integrated artwork is an extremely economic disposition of the artwork budget, utilizing ceramic block as a “pixellated palette” to display abstracted images of the community. 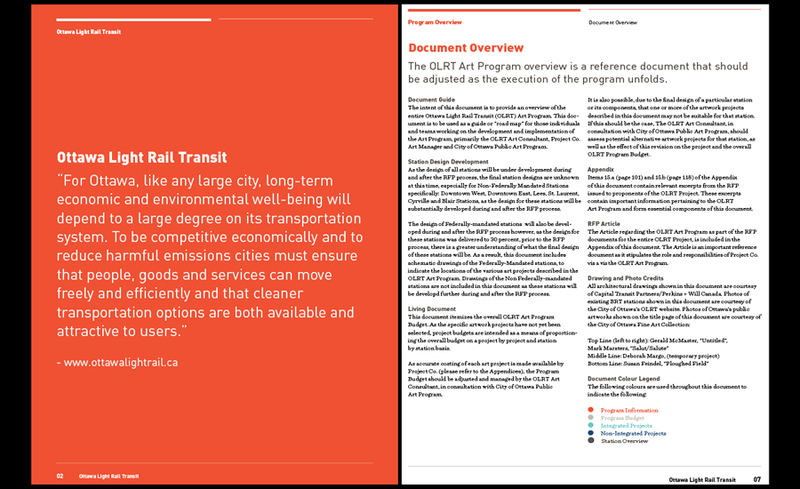 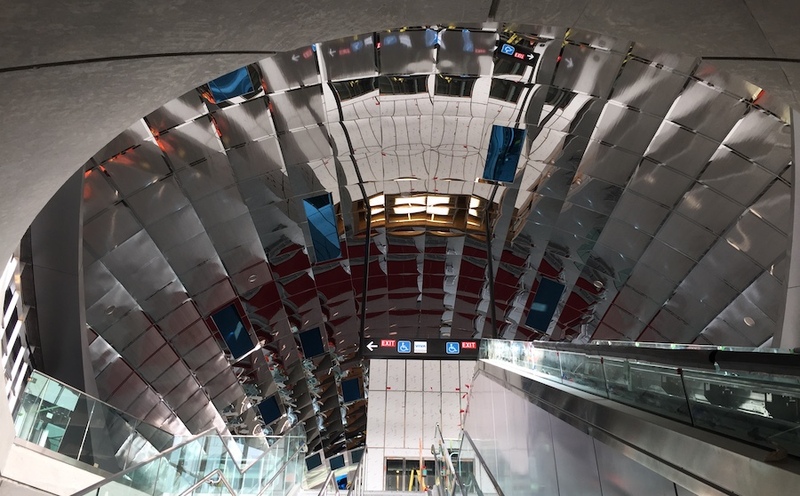 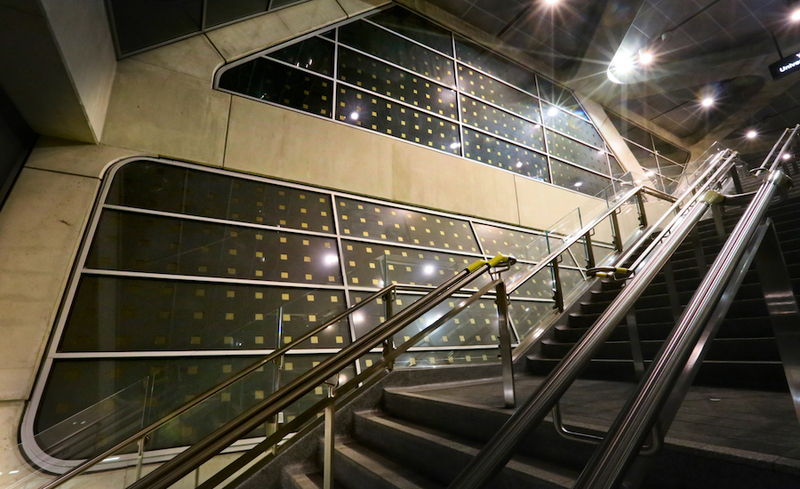 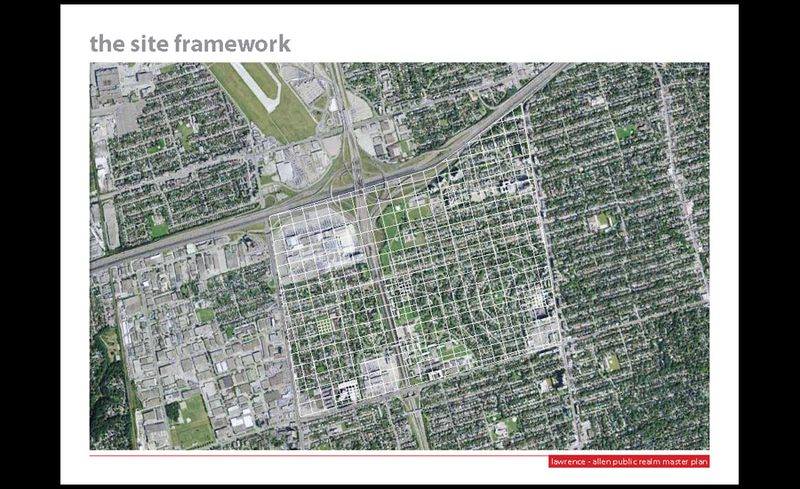 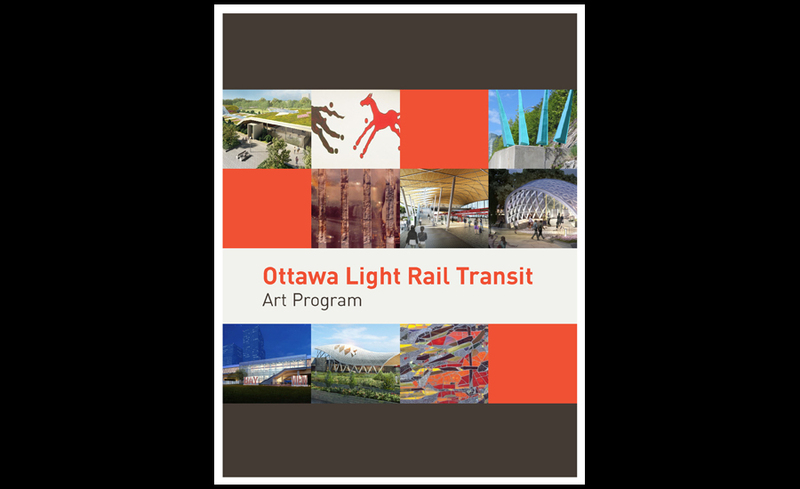 The Ottawa Light Rail Transit Programme is a $2.1 billion infrastructure project, including the construction of 13 transit stations. 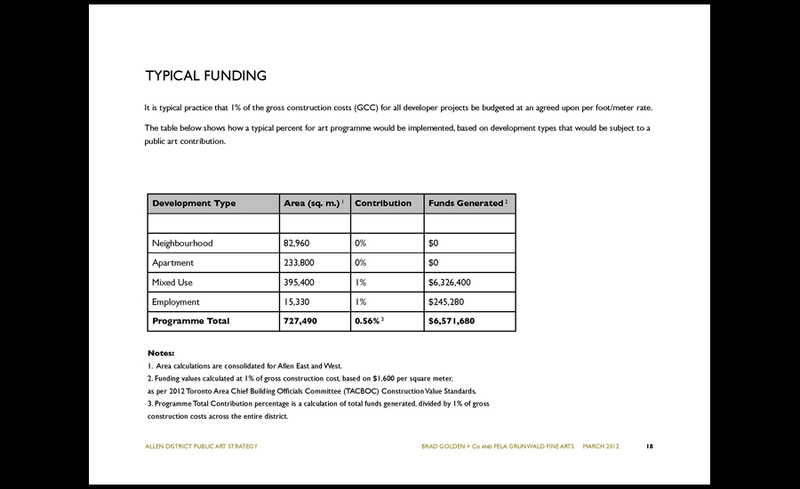 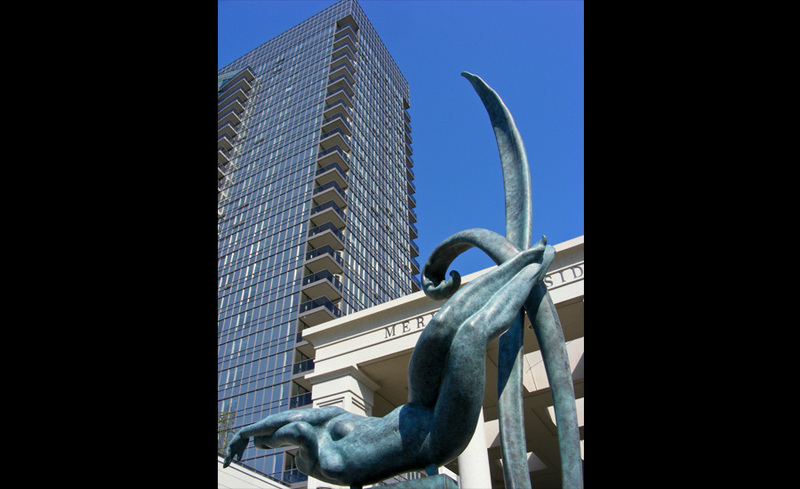 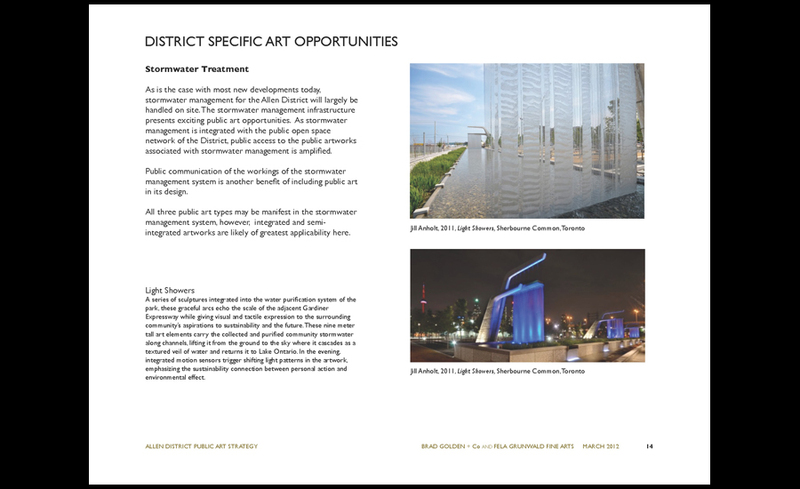 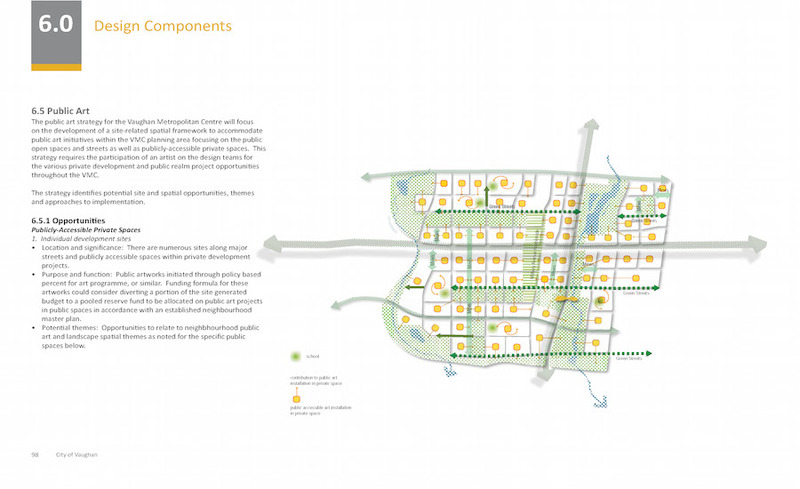 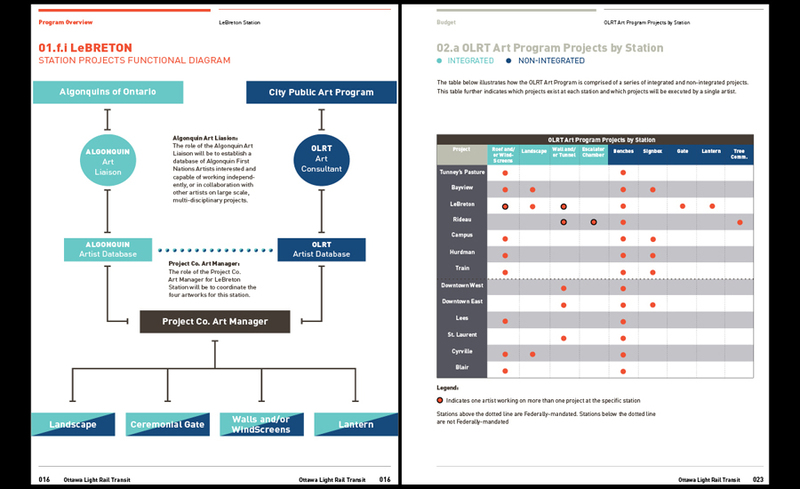 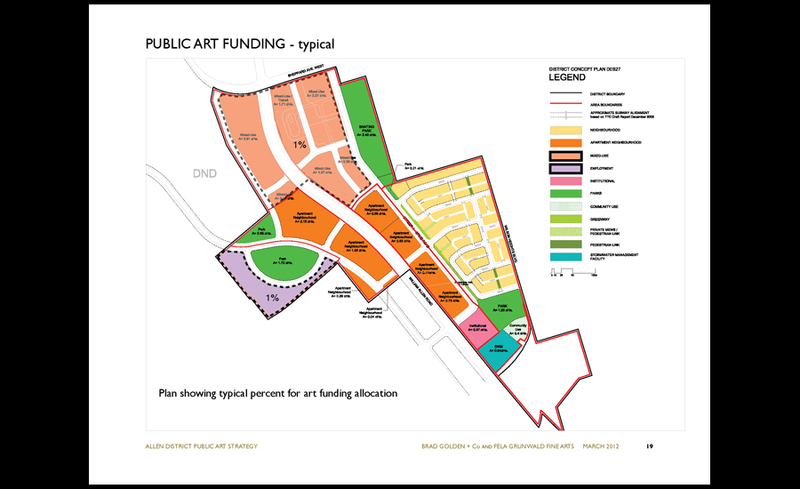 The Allen District Public Art Strategy is based on the distribution of public art opportunities across the entire district, on the basis of district type. 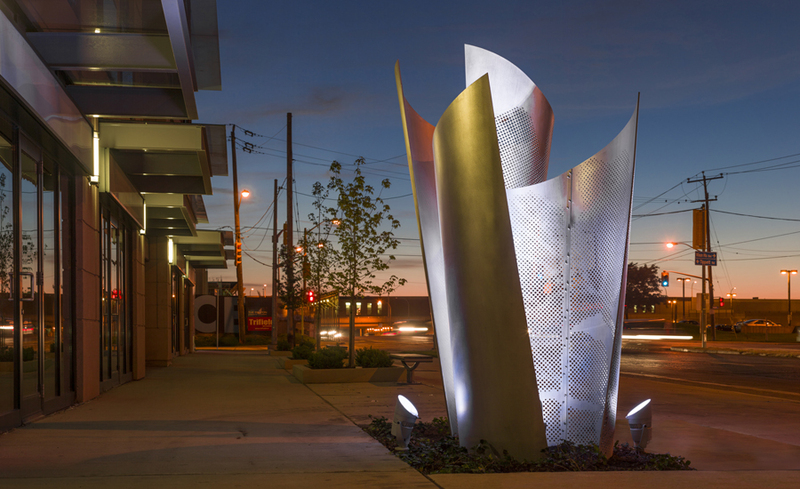 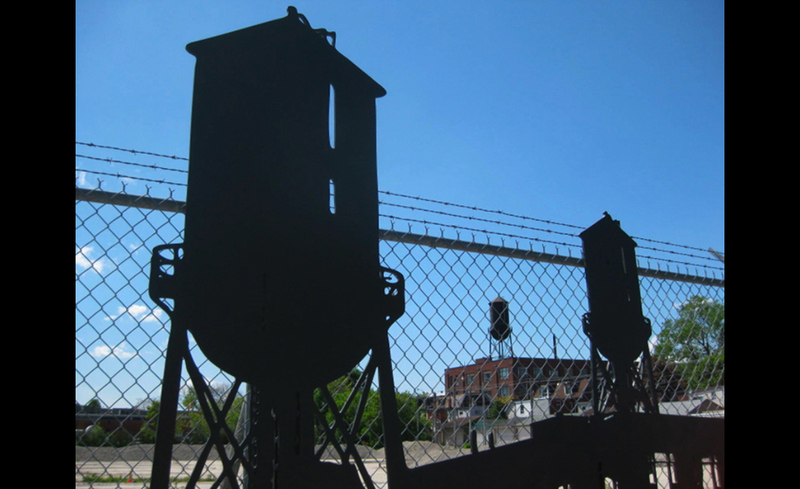 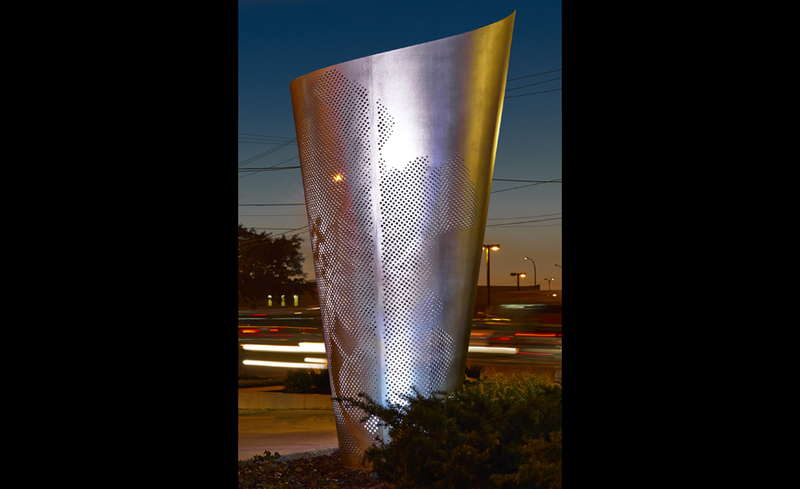 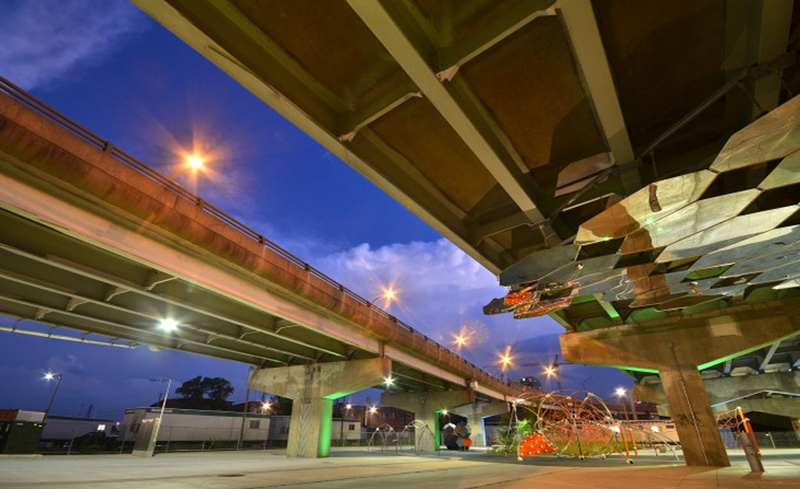 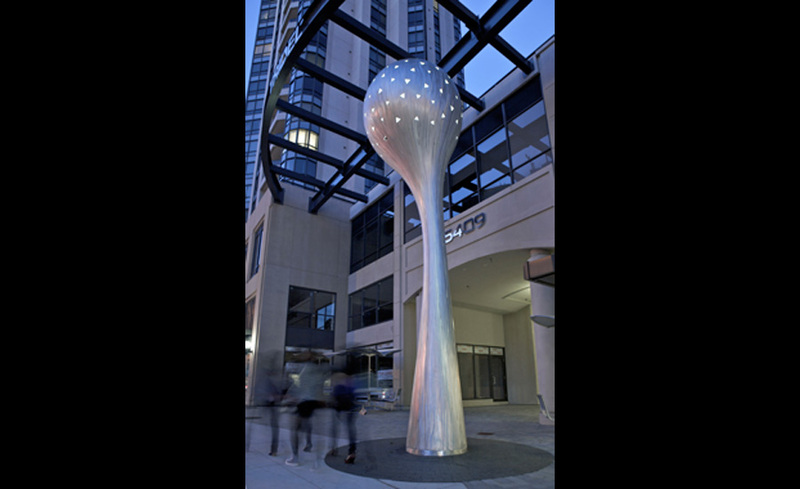 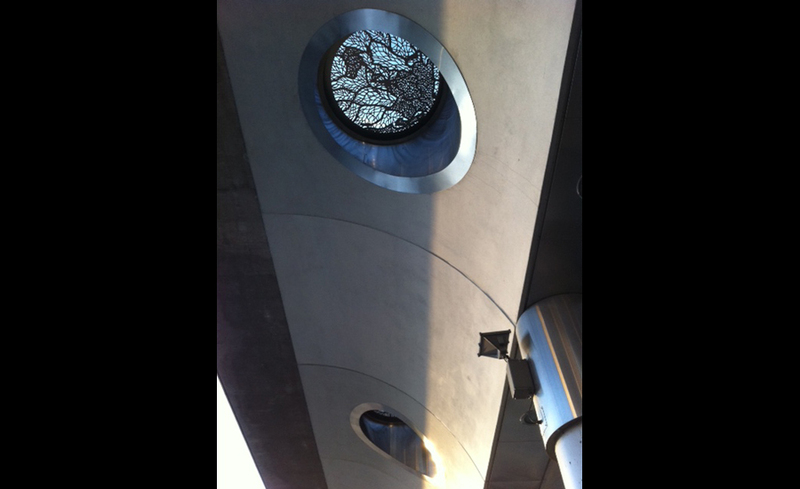 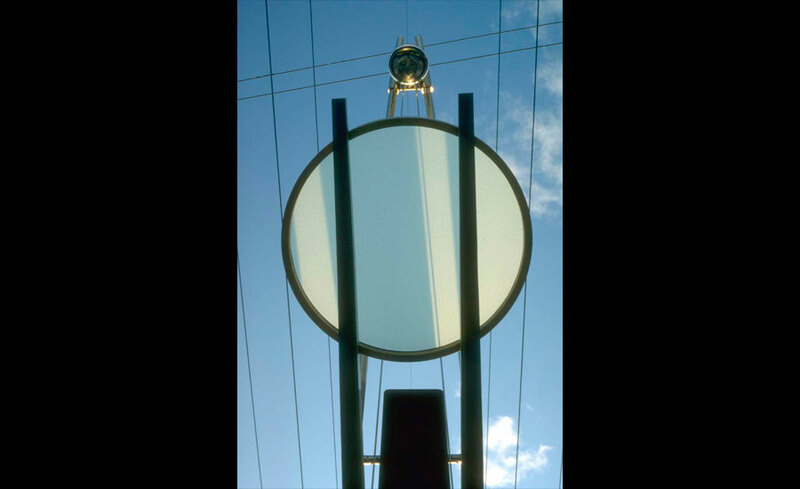 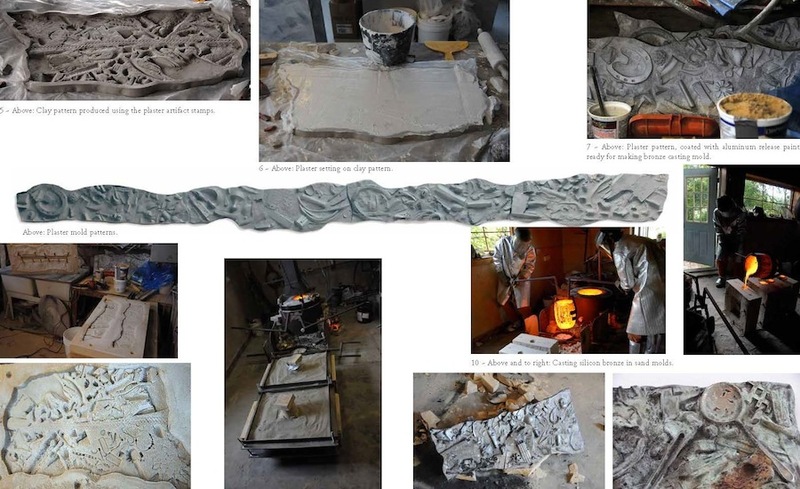 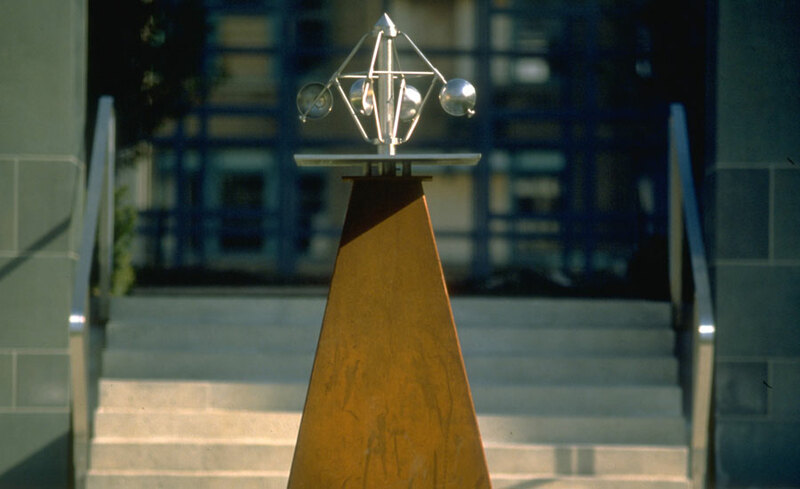 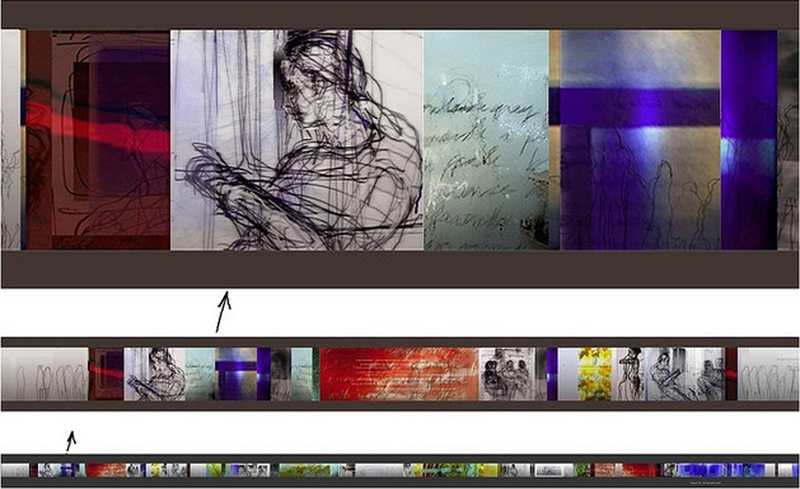 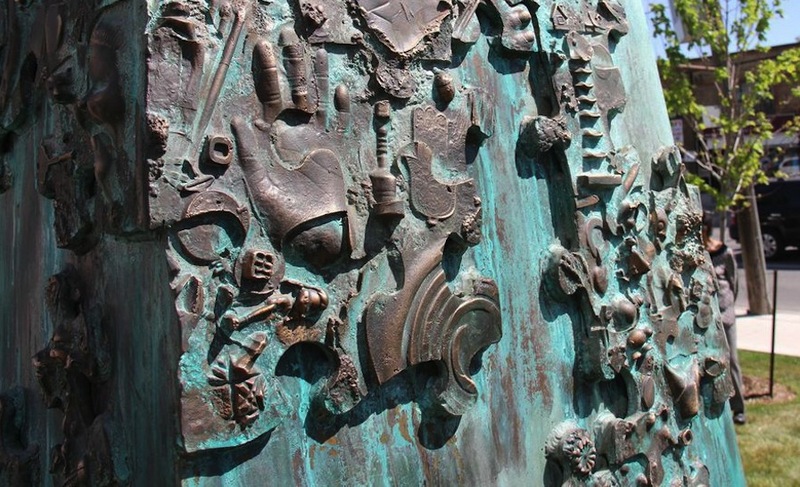 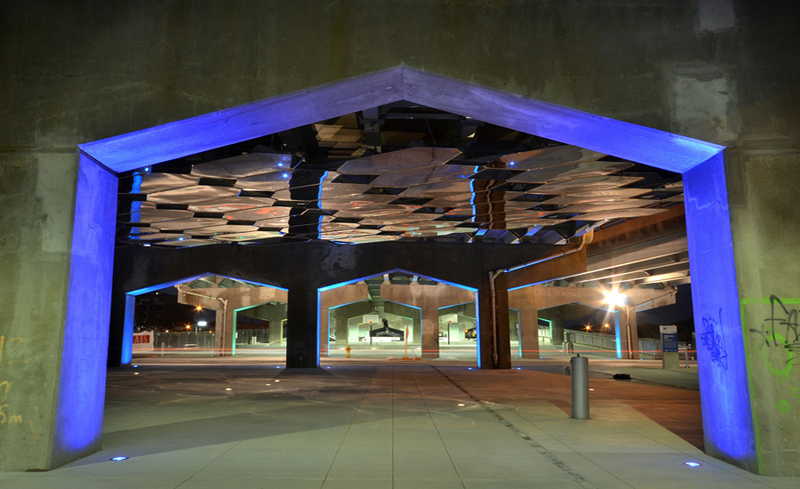 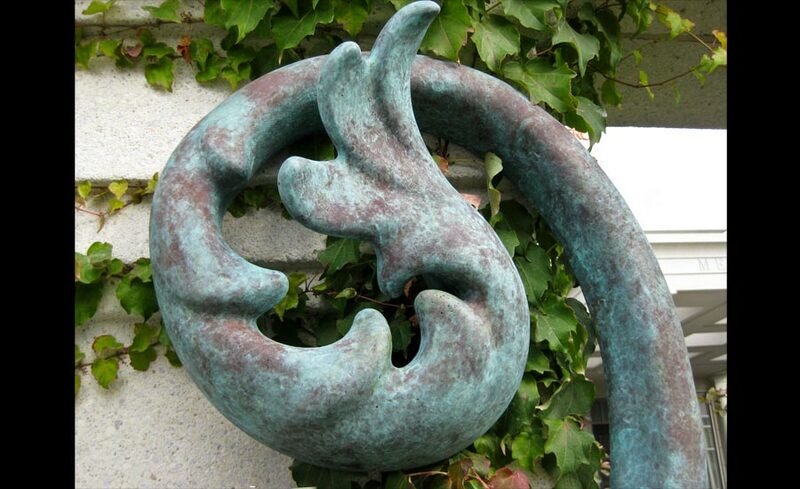 The public art strategy for Lawrence Allen allows for a broad range of public art expression. 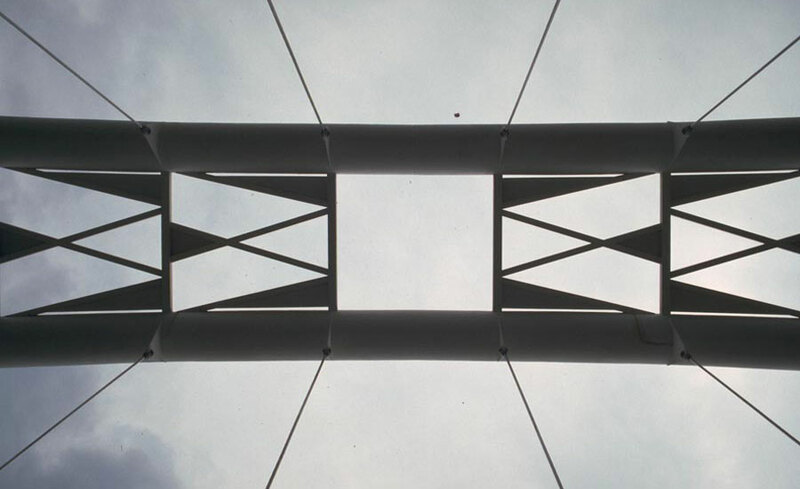 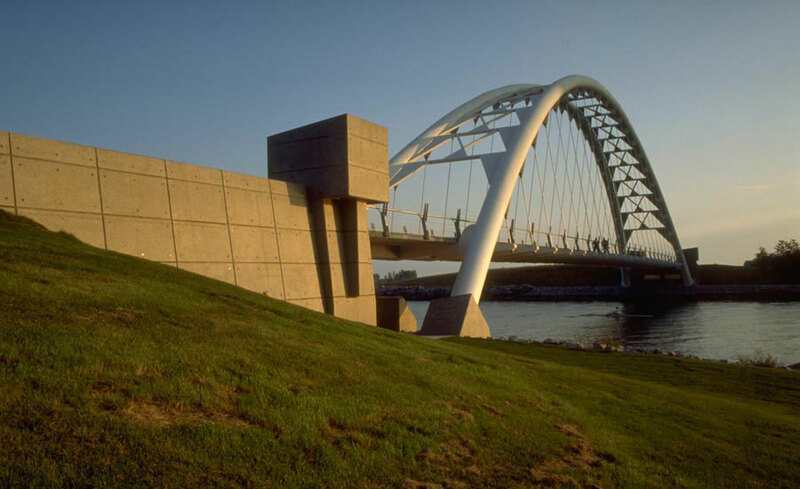 The bridge communicates the cultural and social histories of the Humber River while providing an important link in Toronto's waterfront trail system. 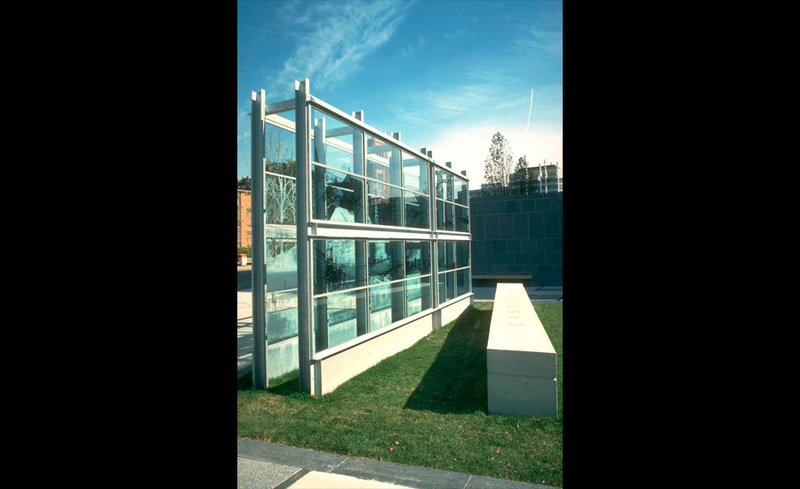 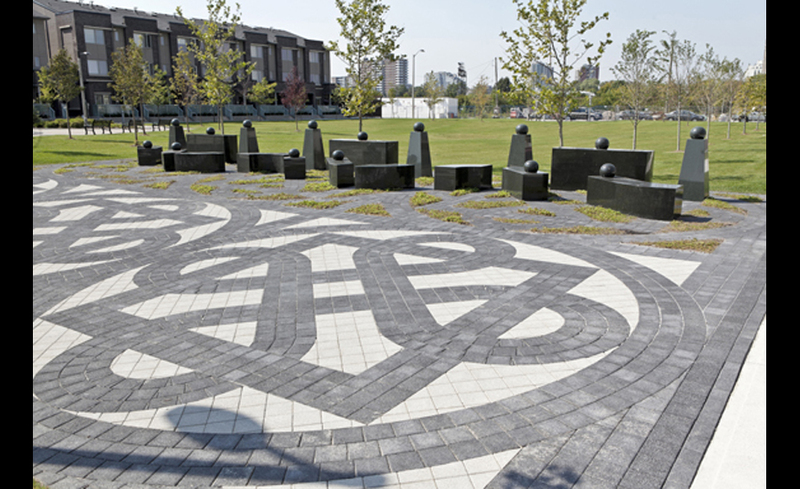 This project involves the development of a series of components designed to animate a central lawn within a series of formal gardens at the new City Hall. 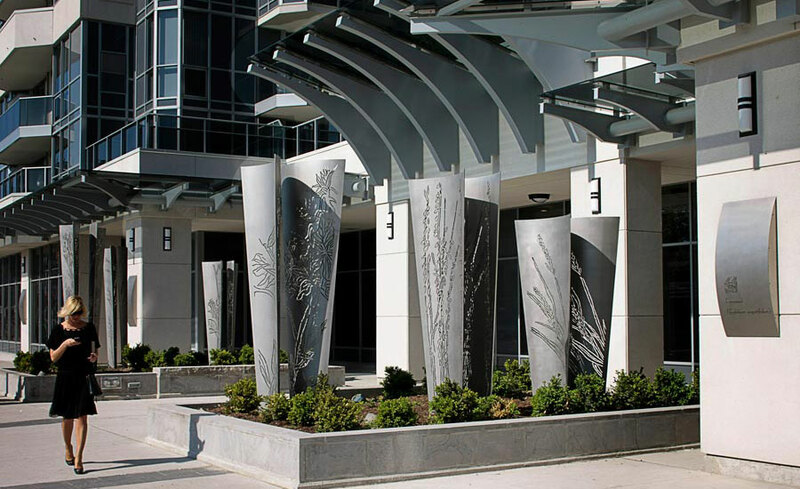 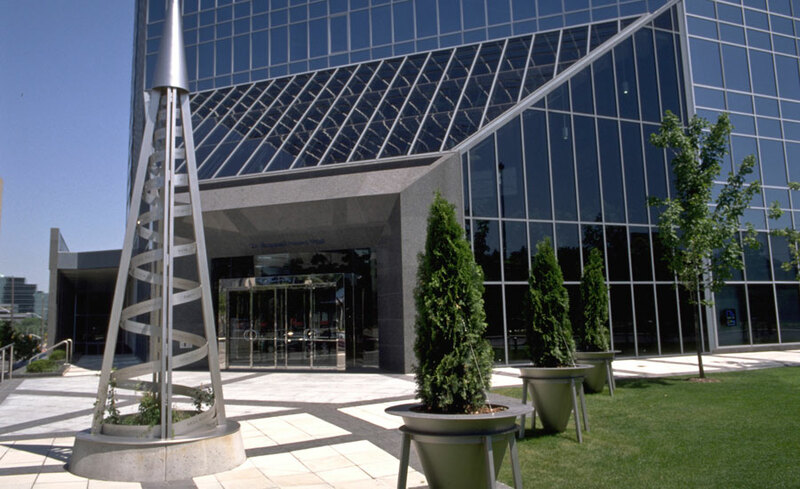 Through its distinctive forms and combination of stainless steel and plant materials, Time Cones mark the entrance plaza of this office tower. 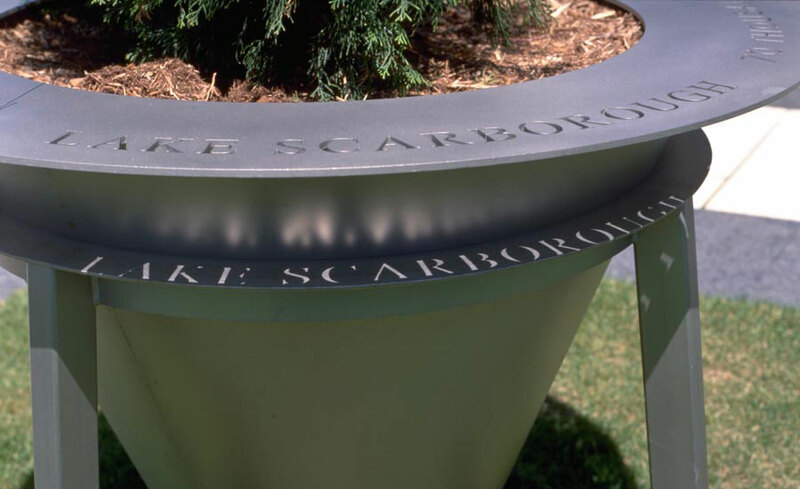 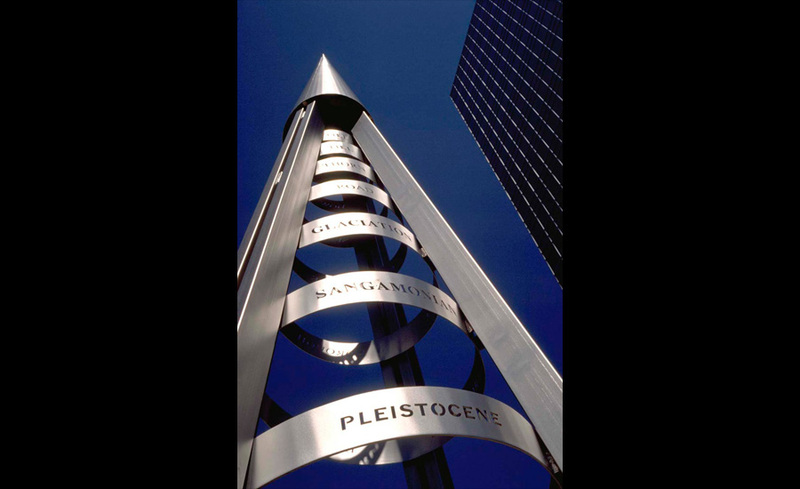 Seven detailed and finely crafted steel light standards illuminate seven bronze words cast into the sidewalk at specific intervals along this popular pedestrian route.